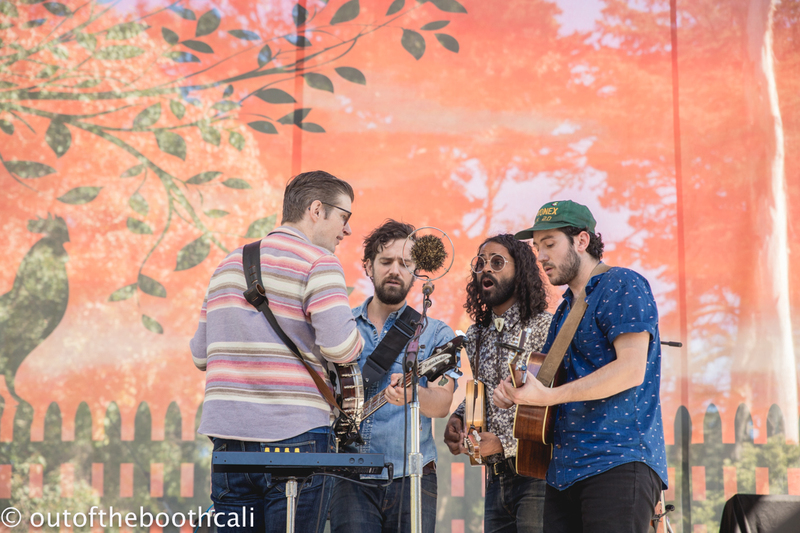 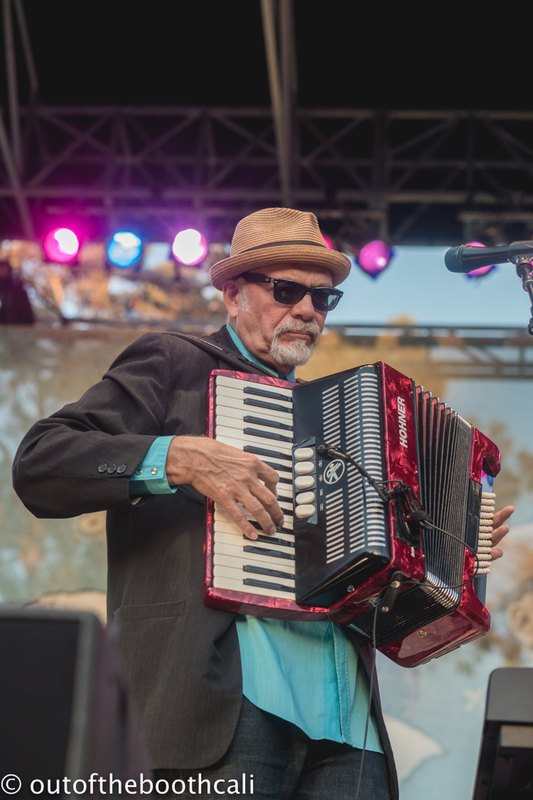 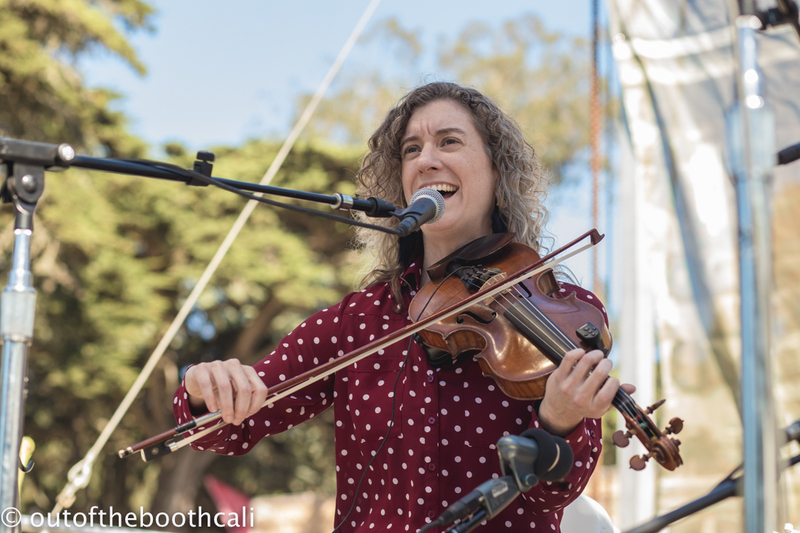 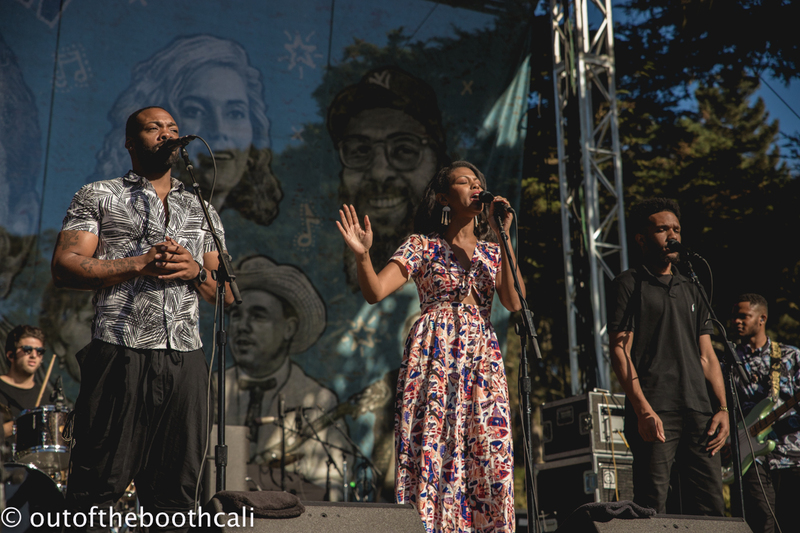 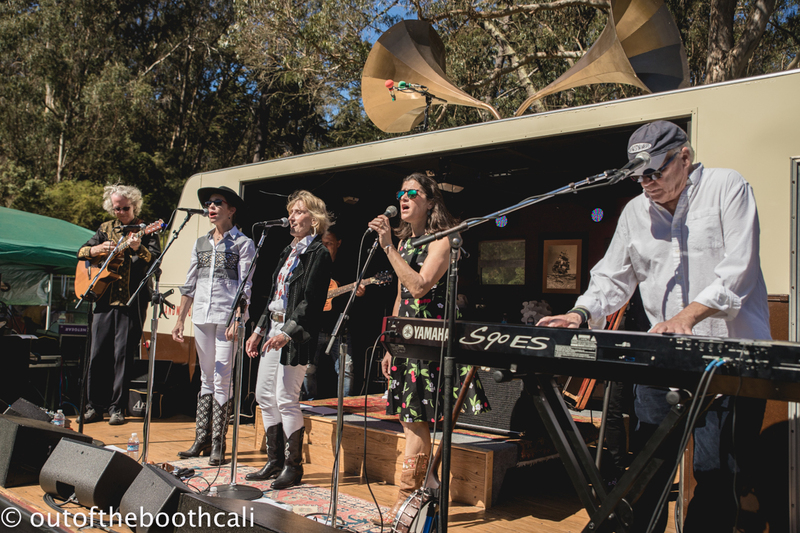 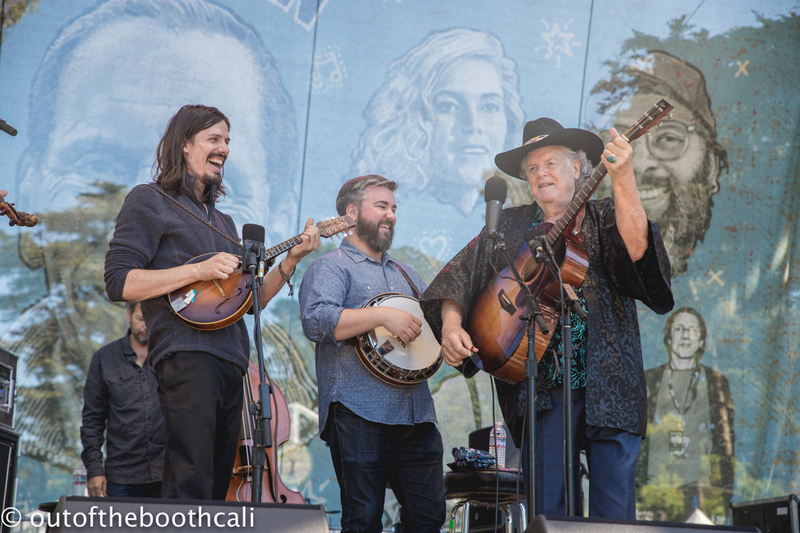 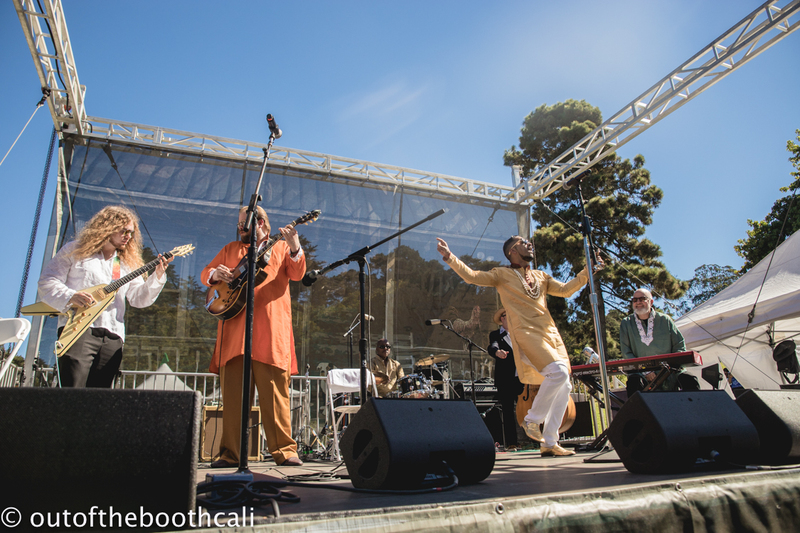 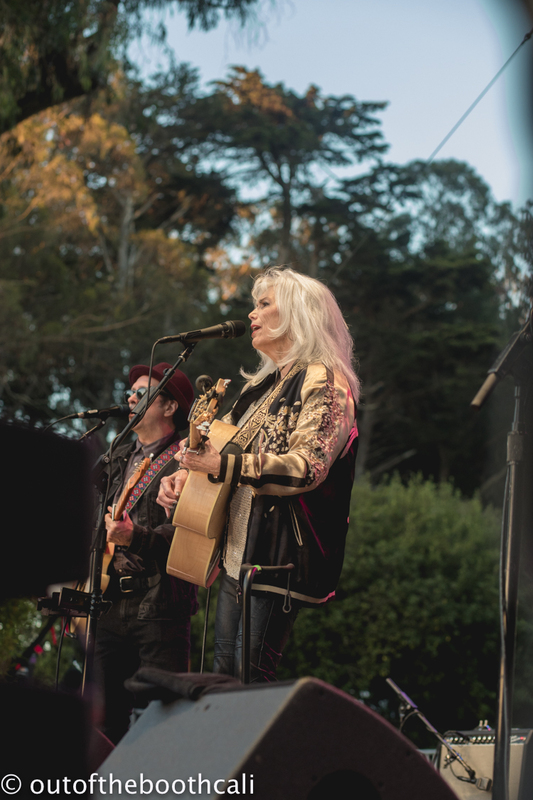 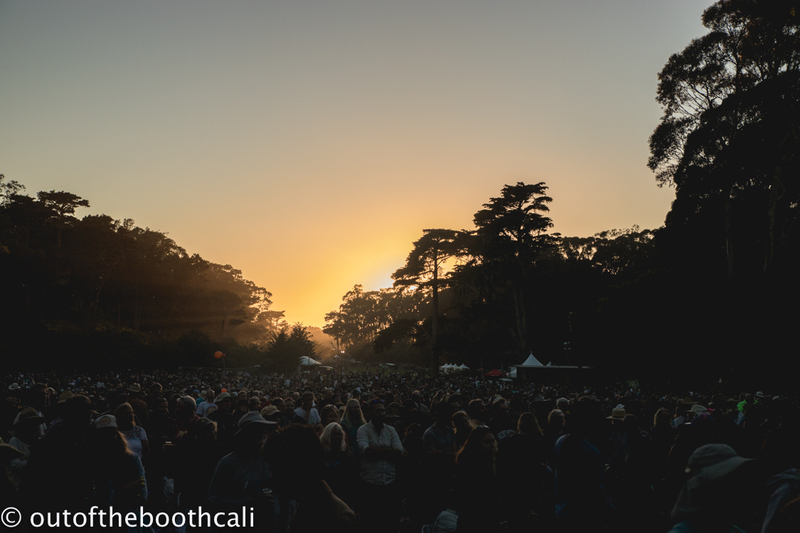 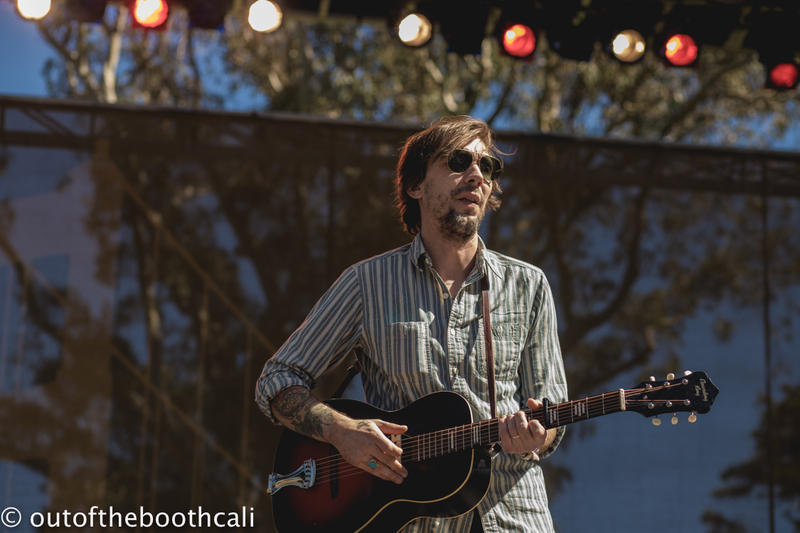 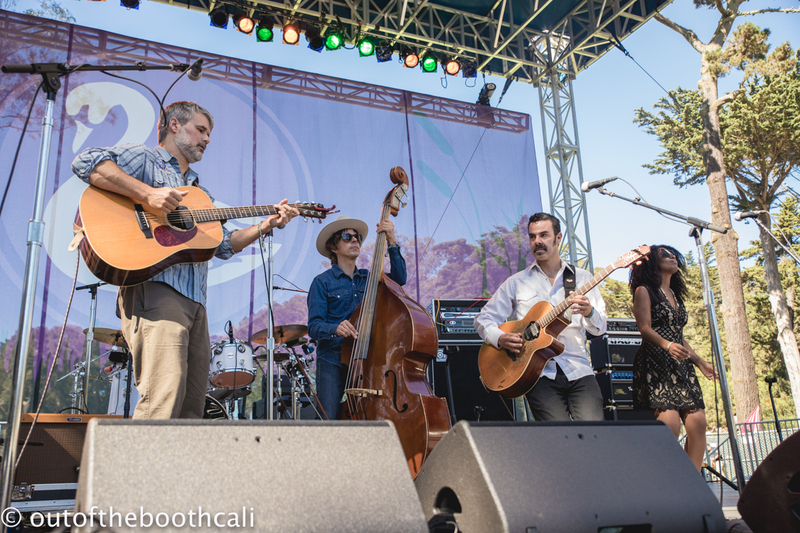 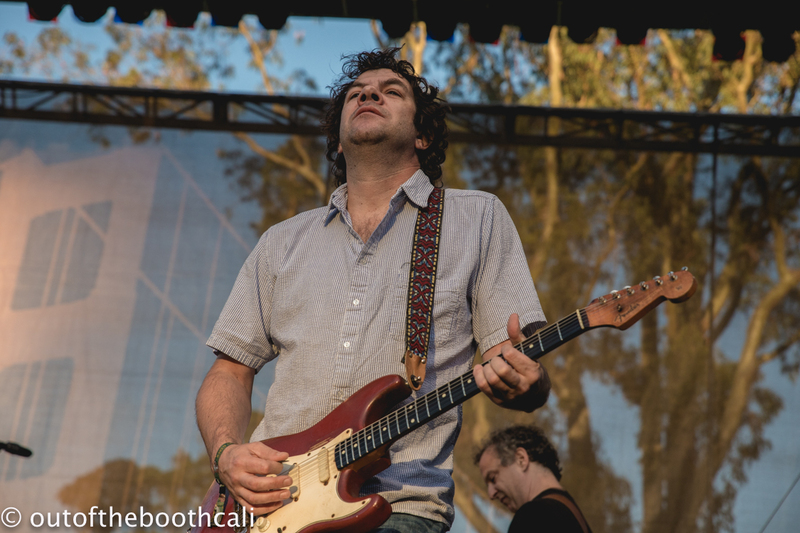 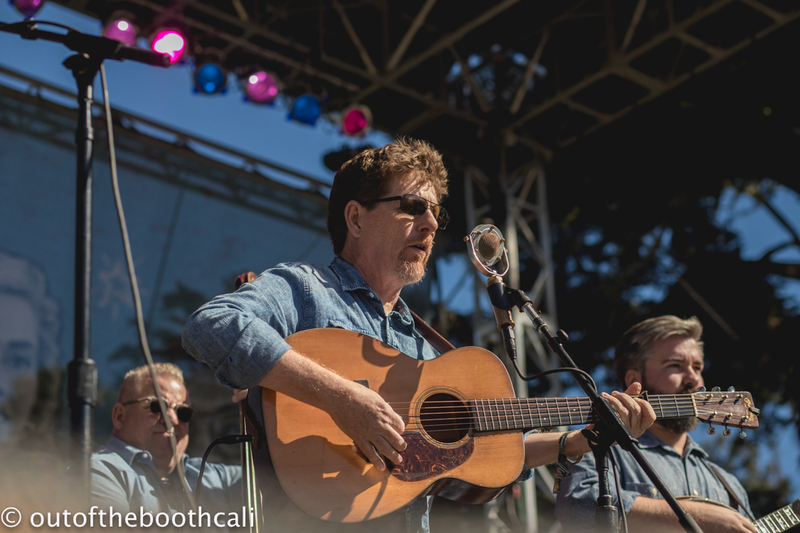 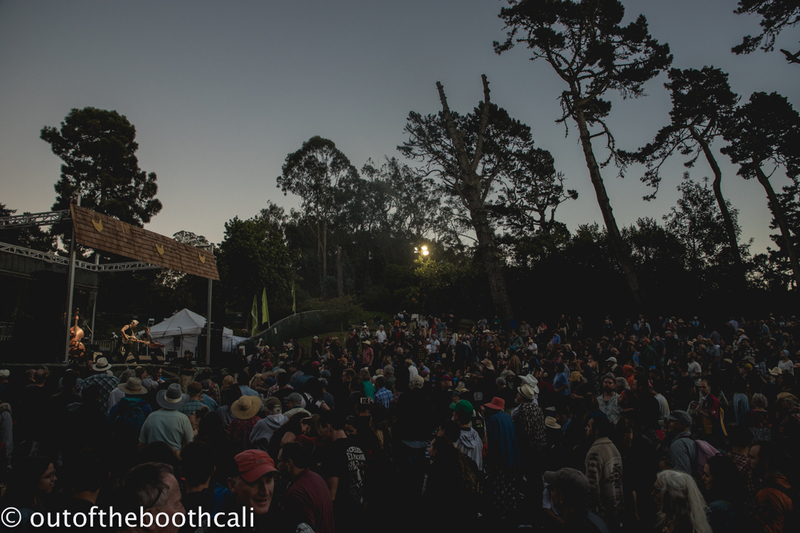 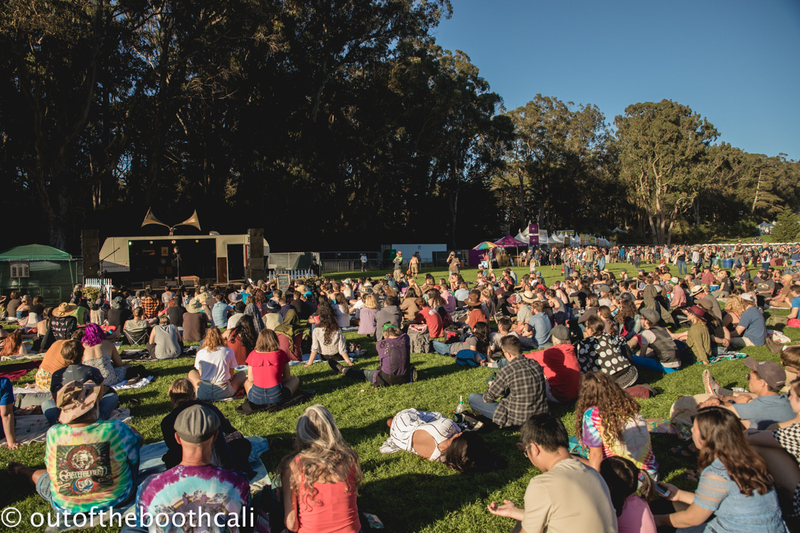 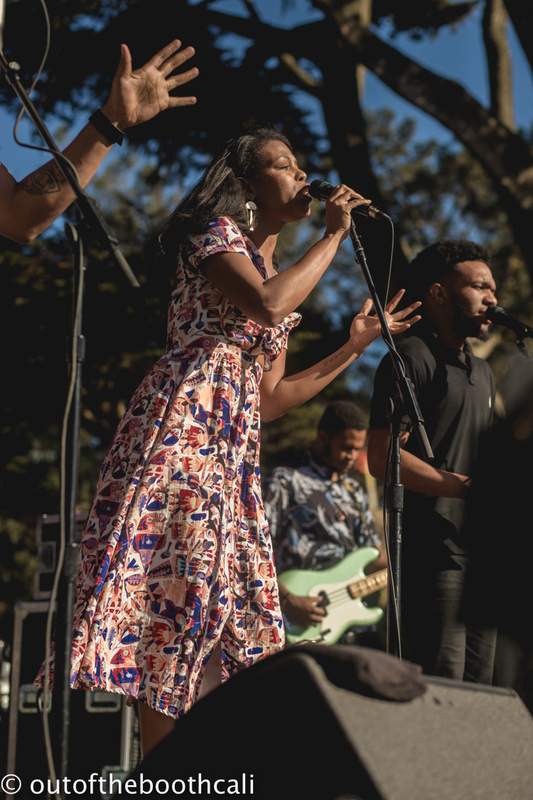 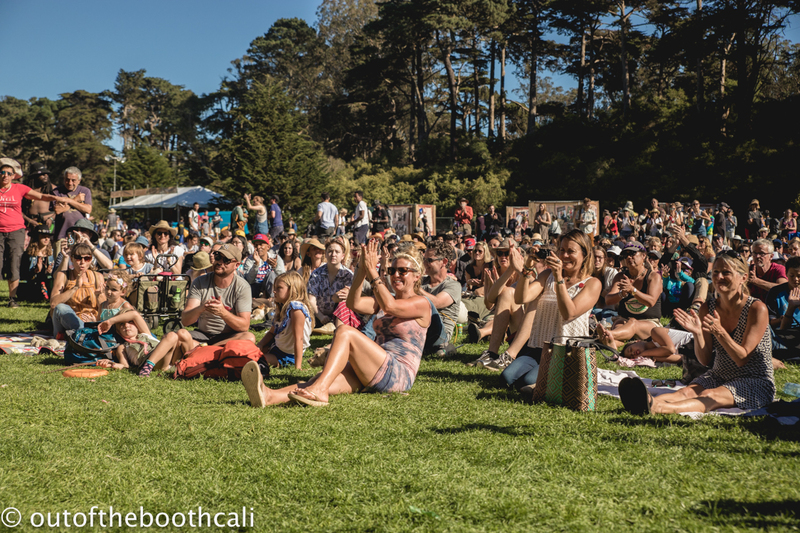 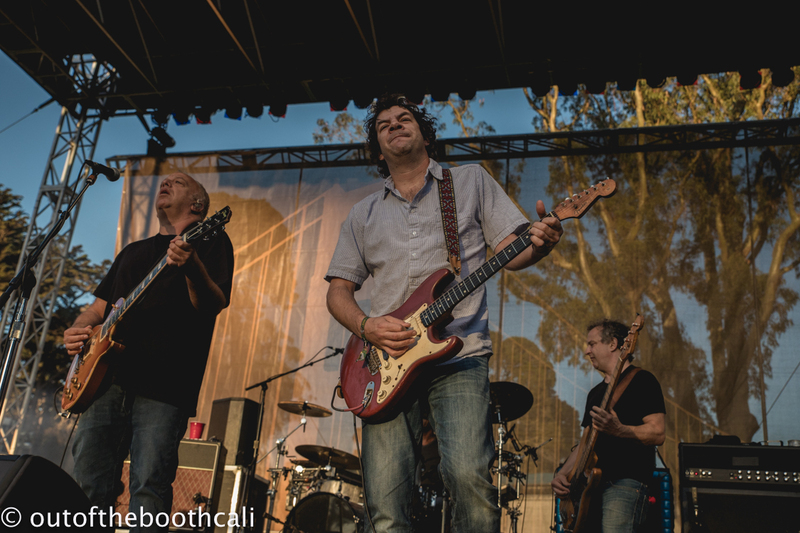 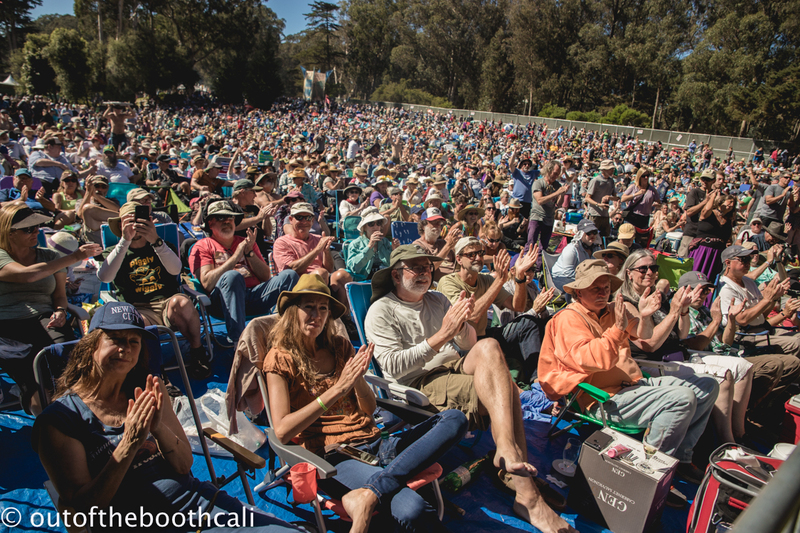 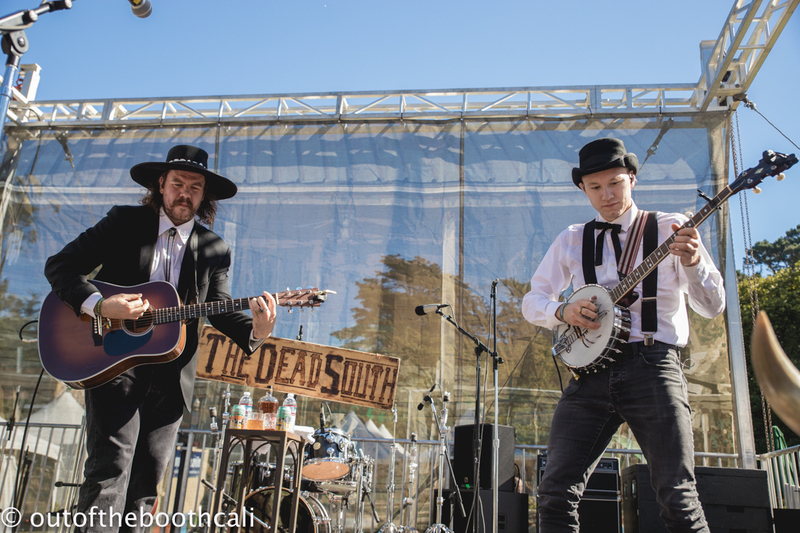 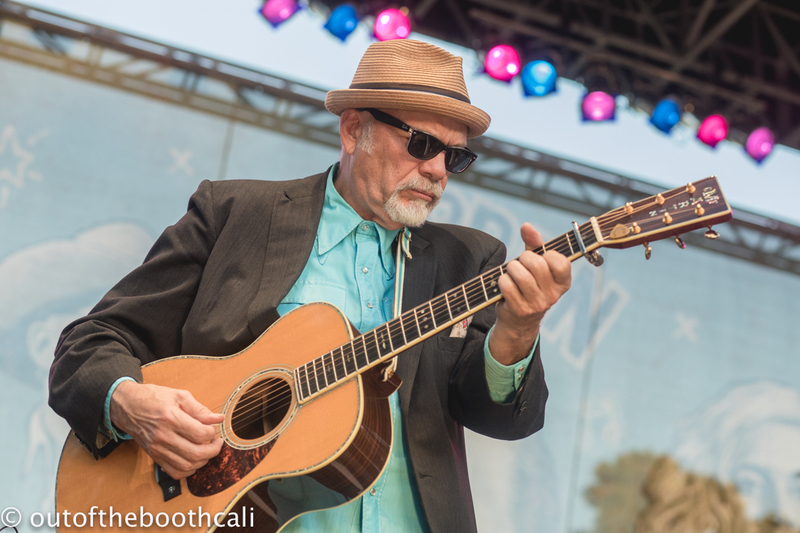 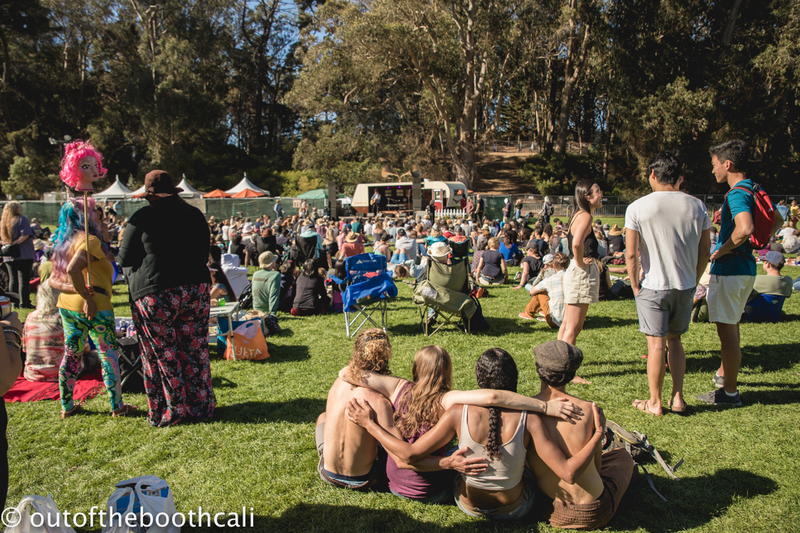 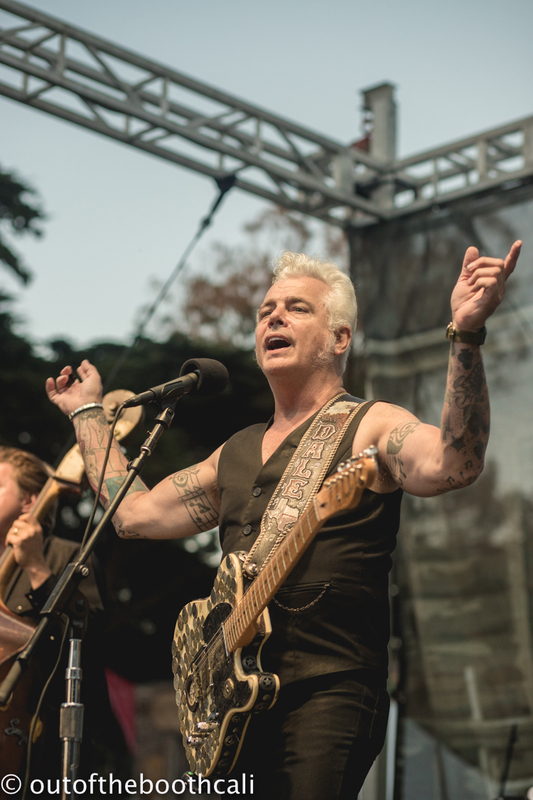 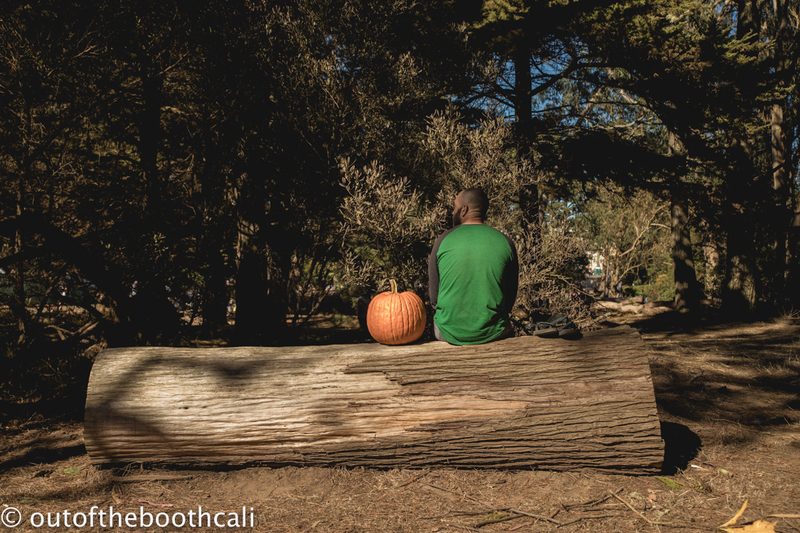 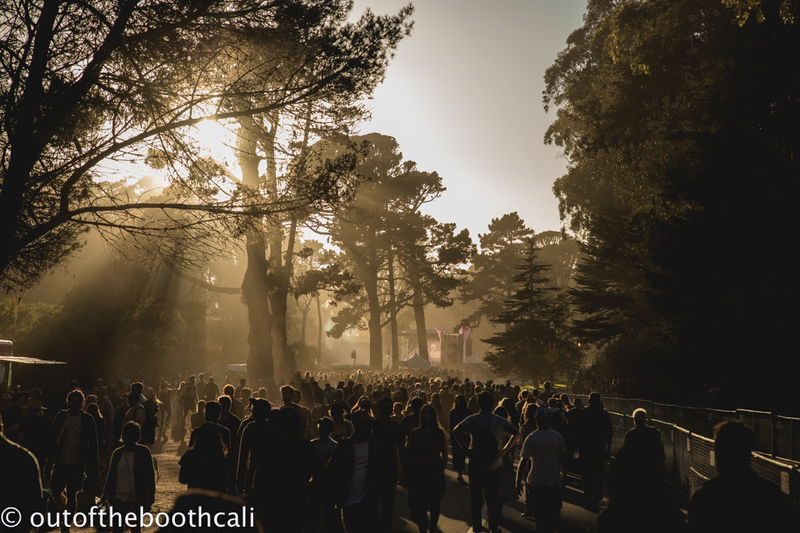 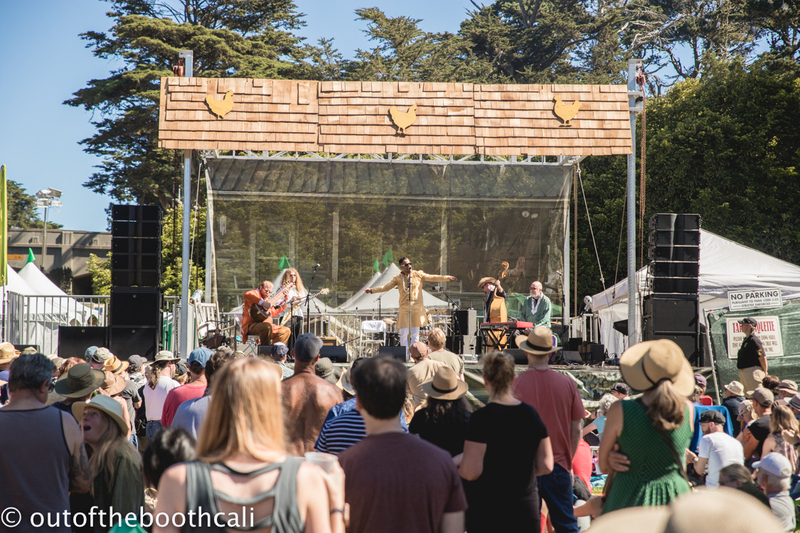 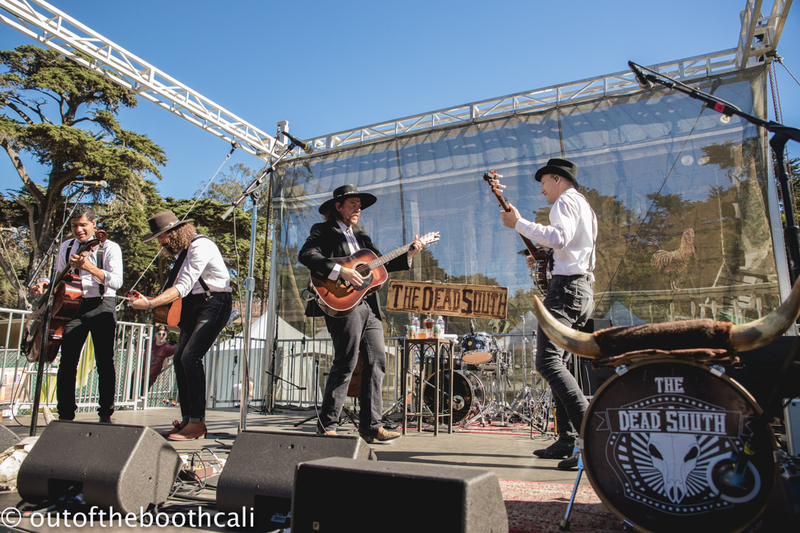 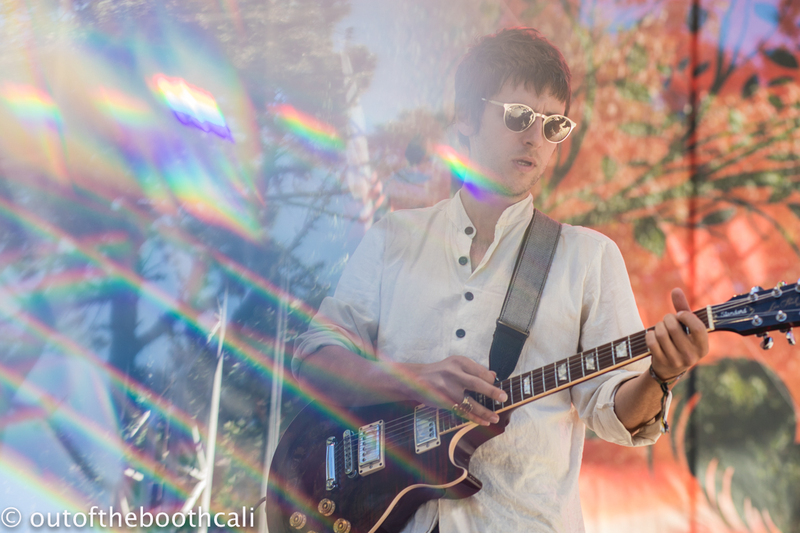 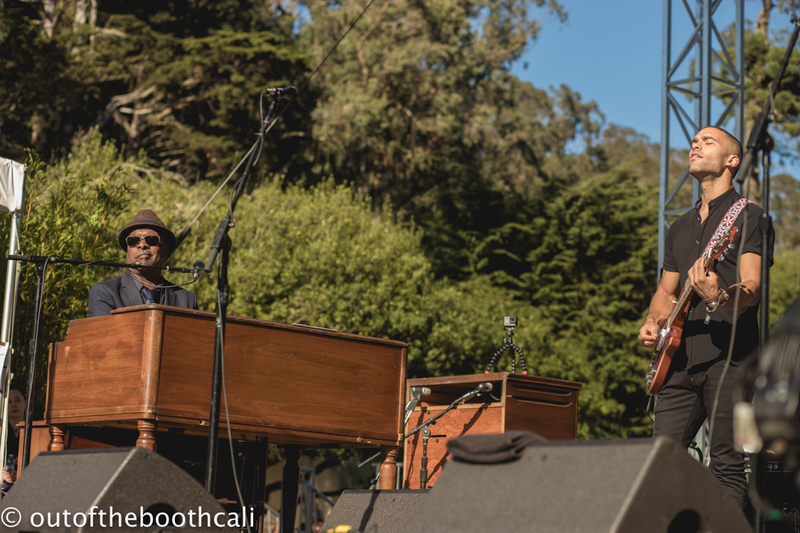 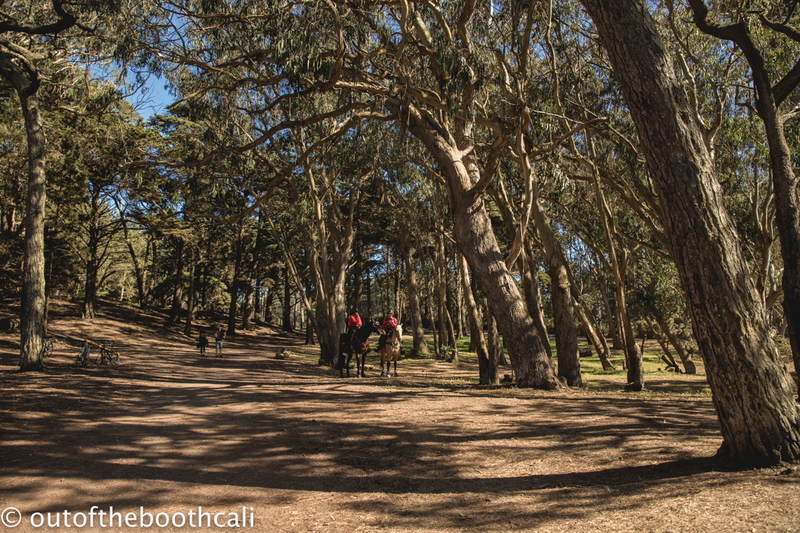 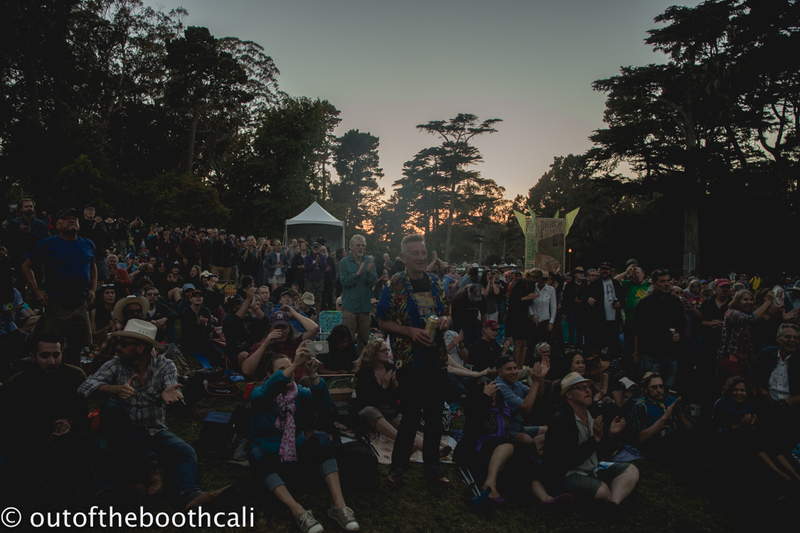 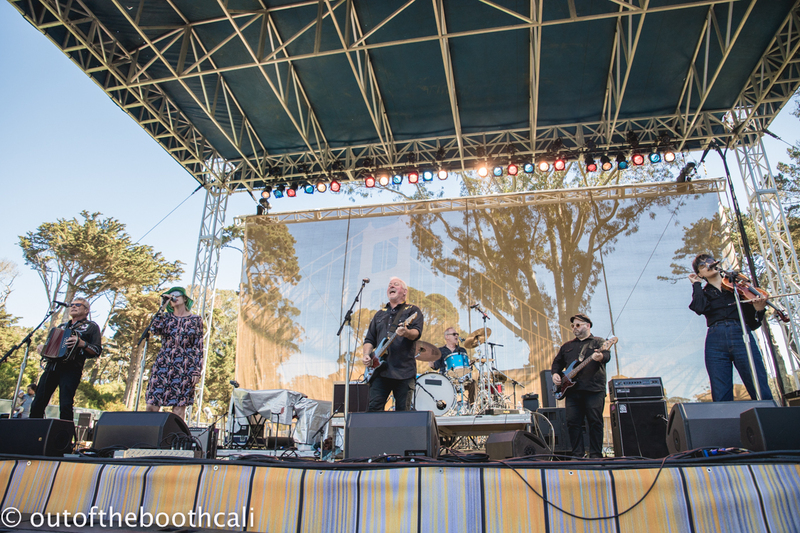 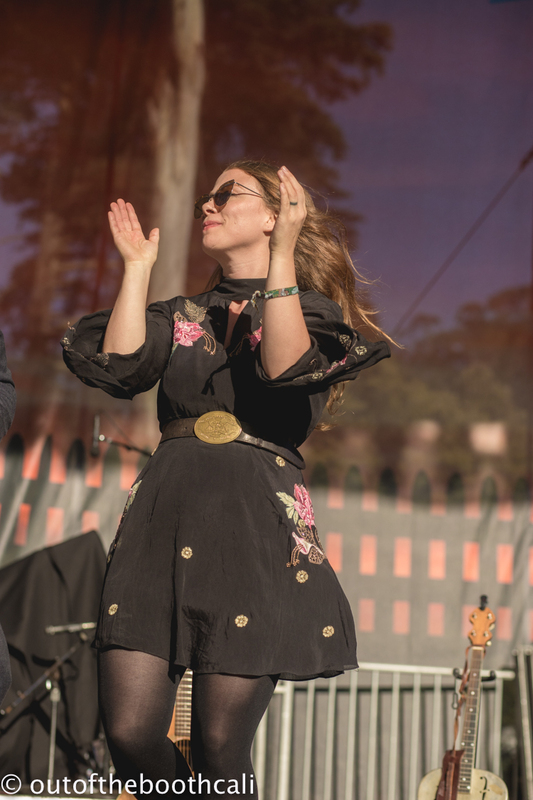 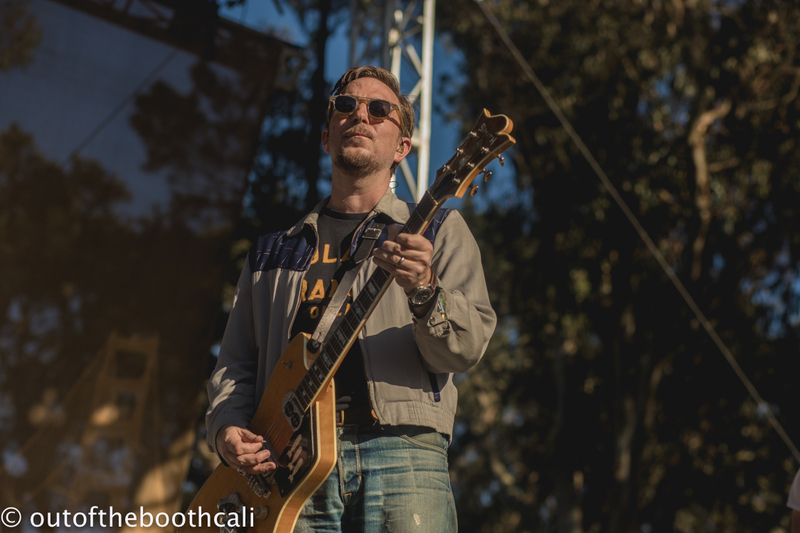 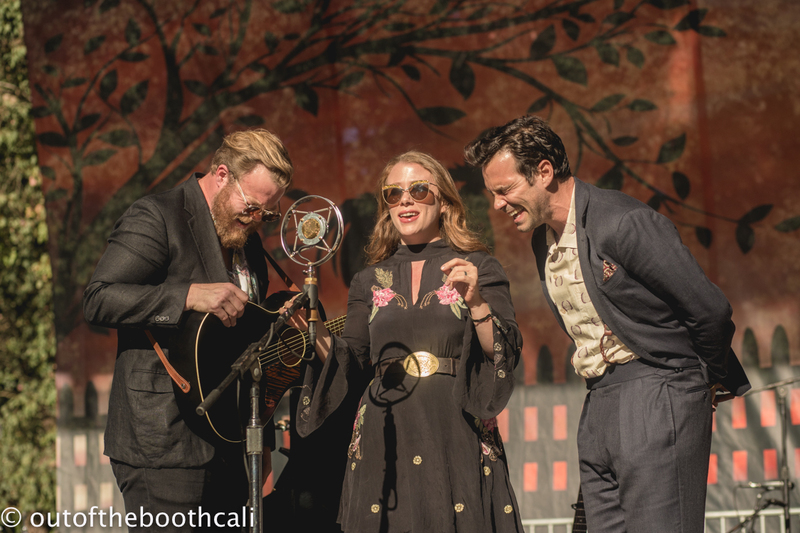 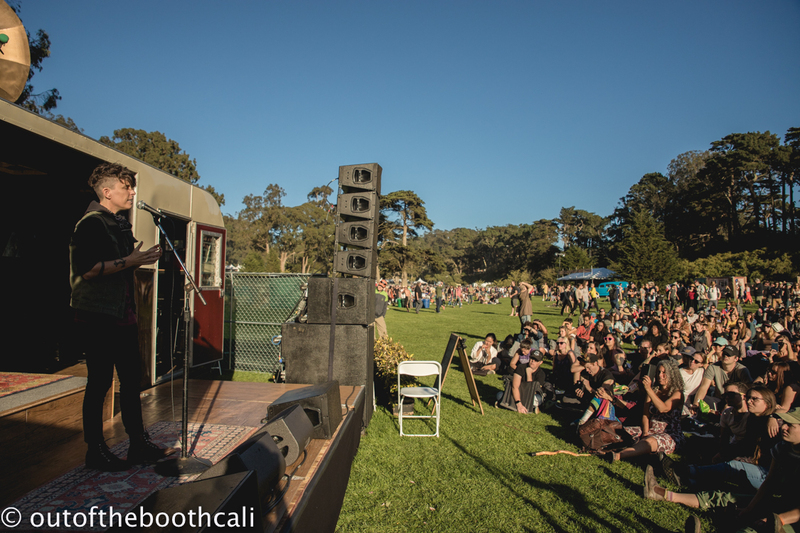 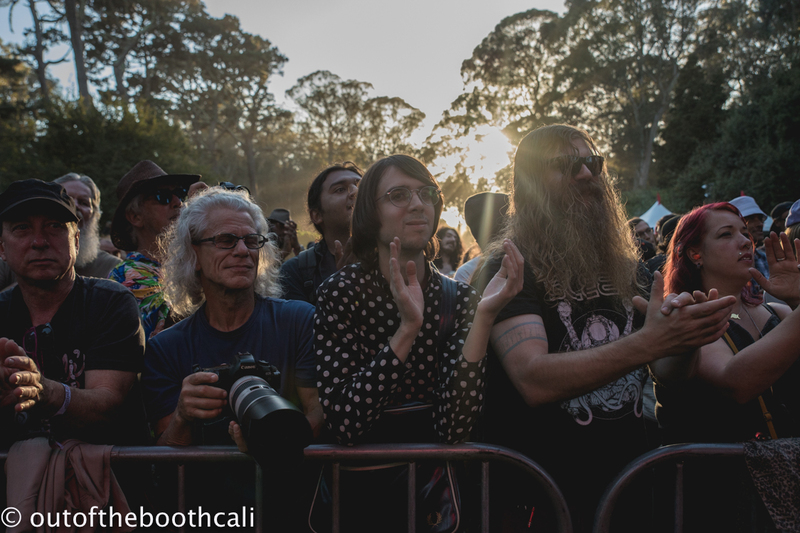 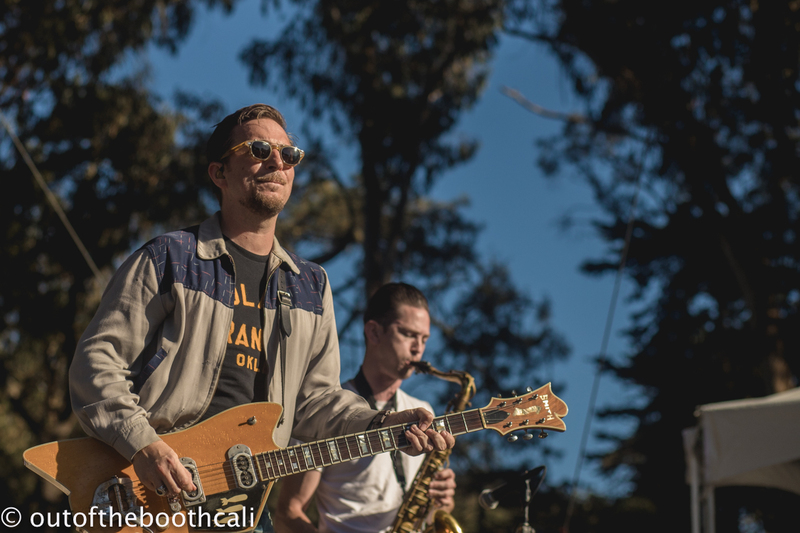 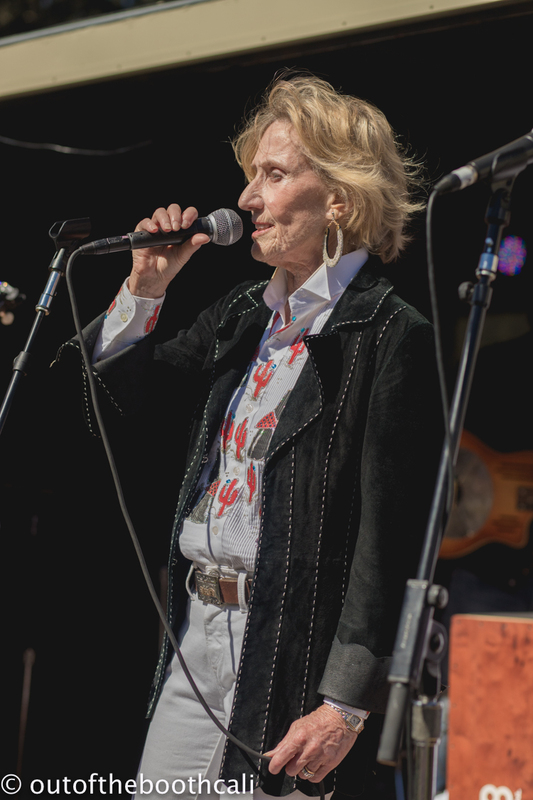 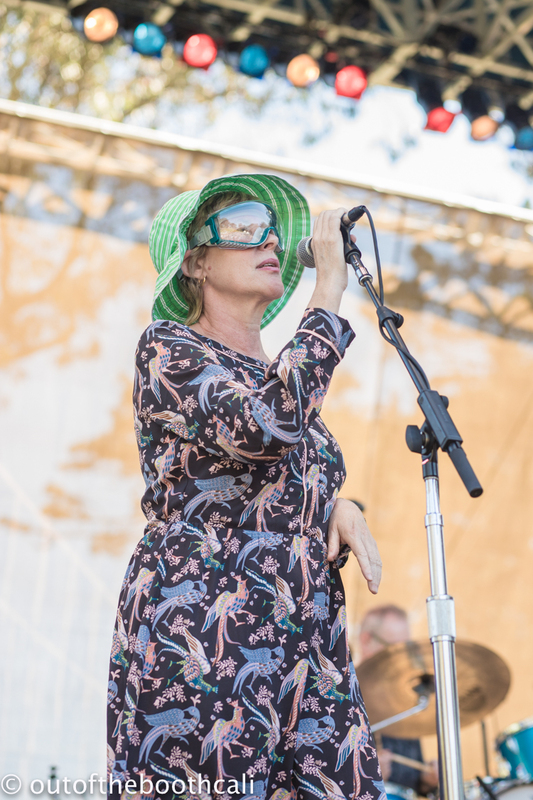 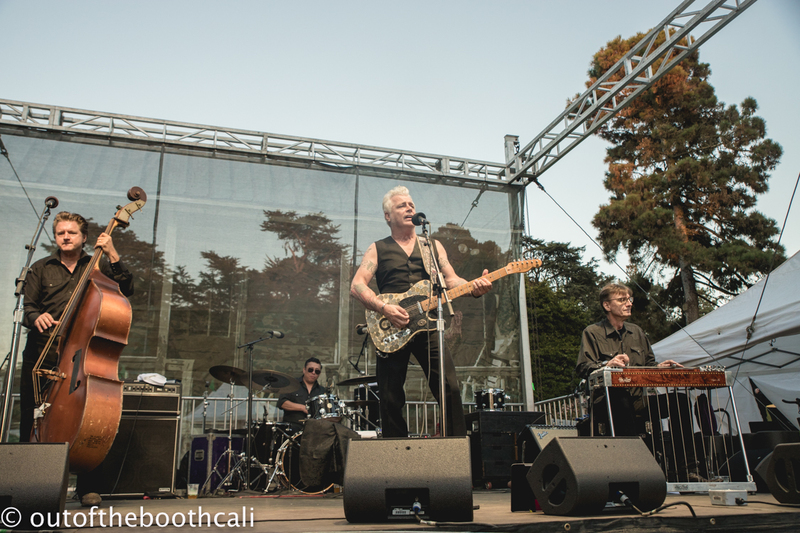 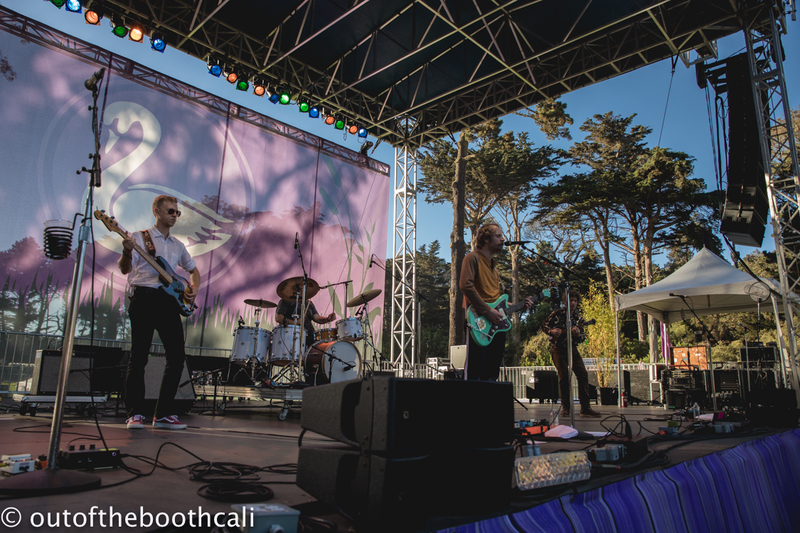 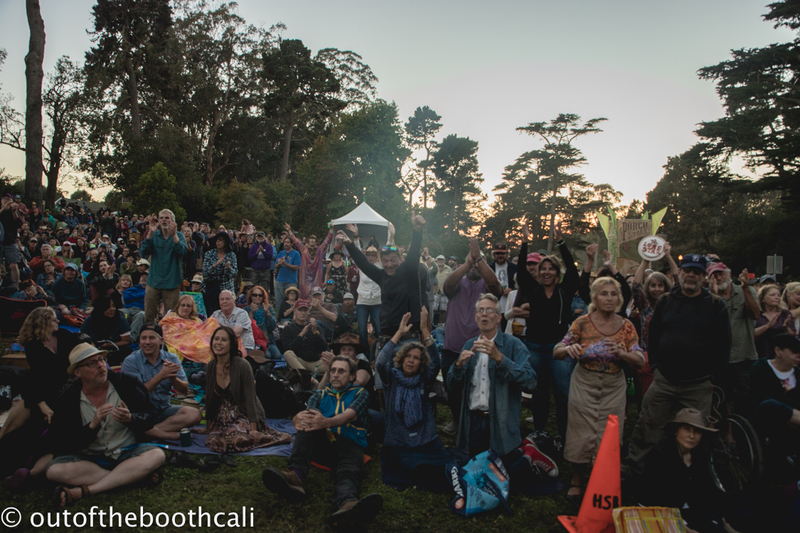 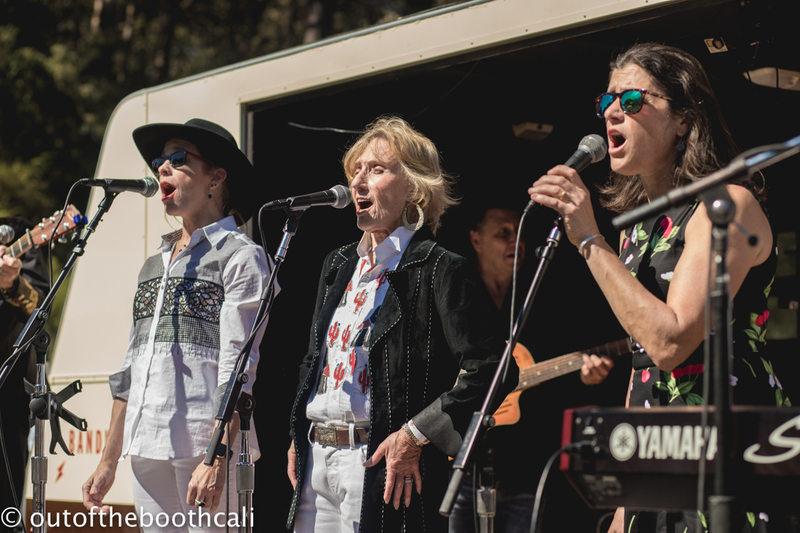 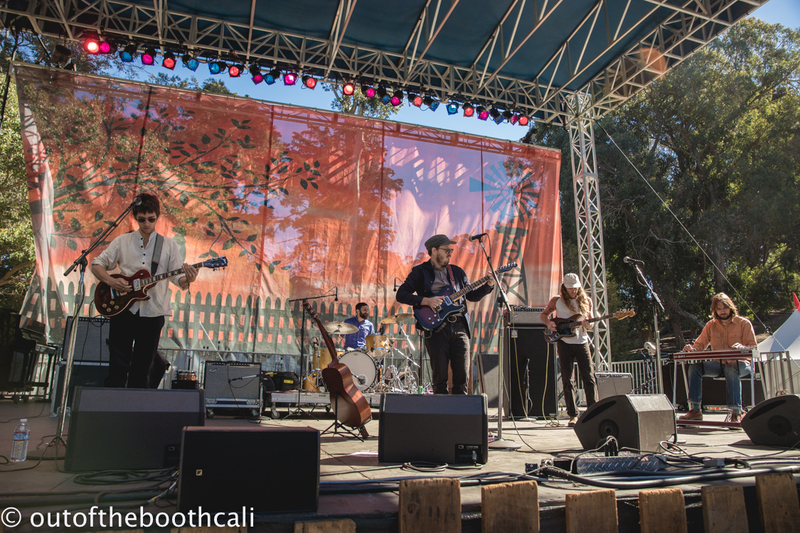 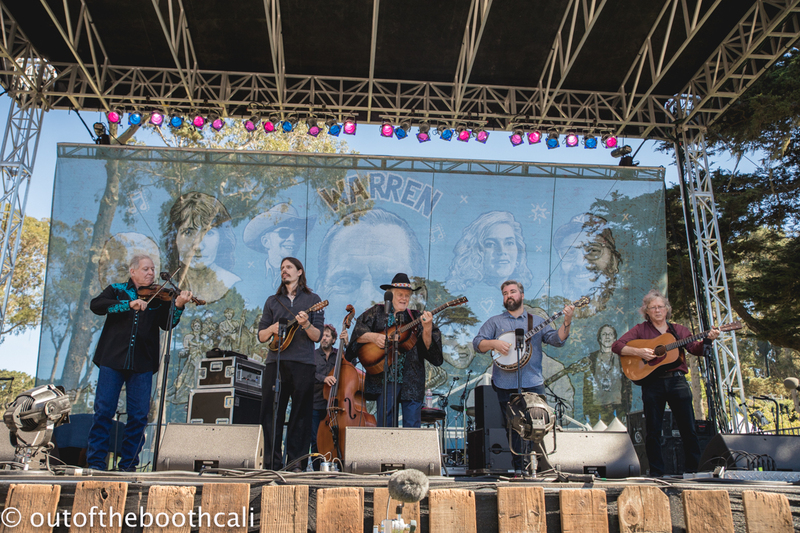 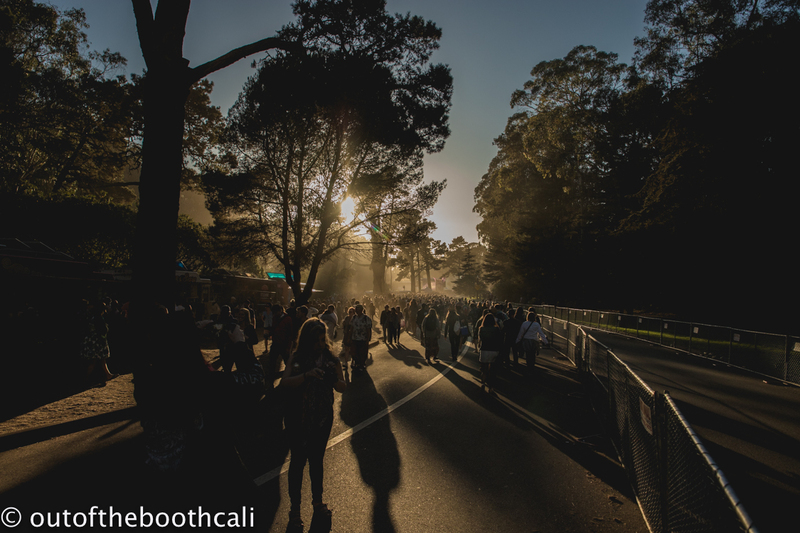 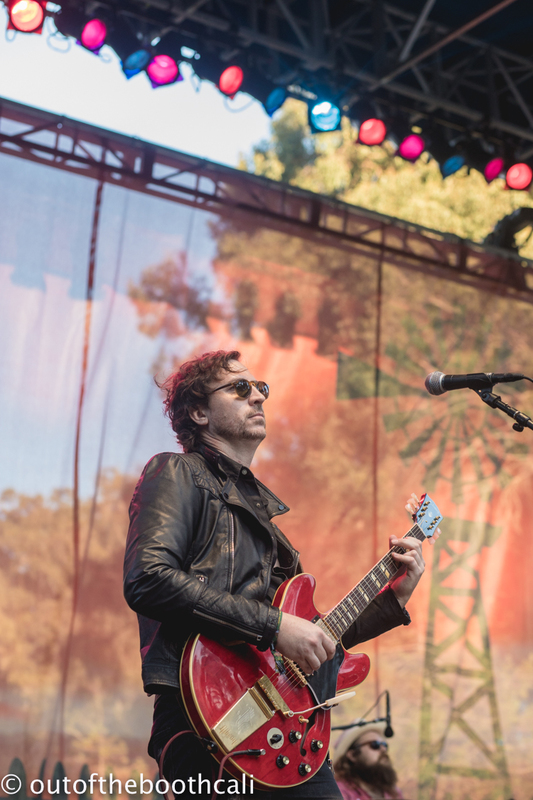 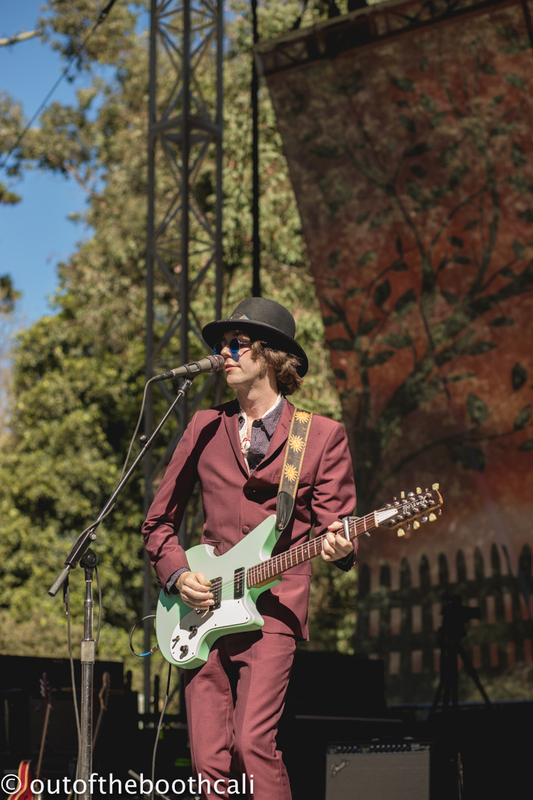 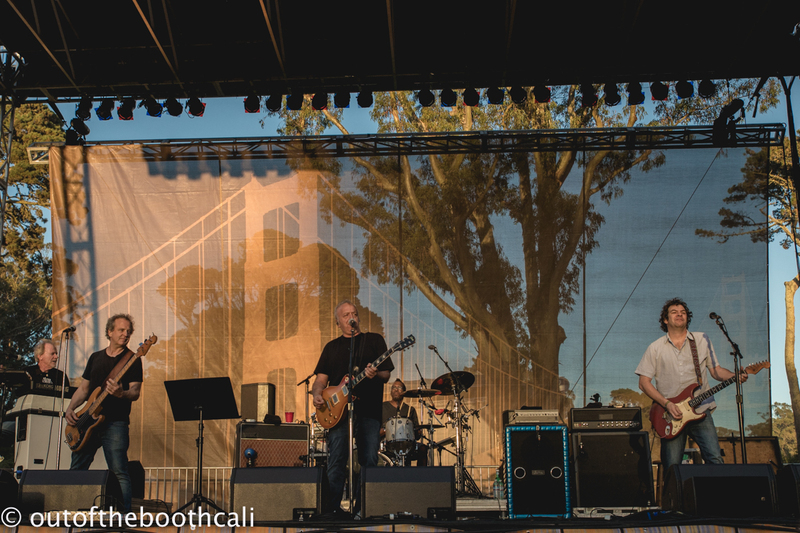 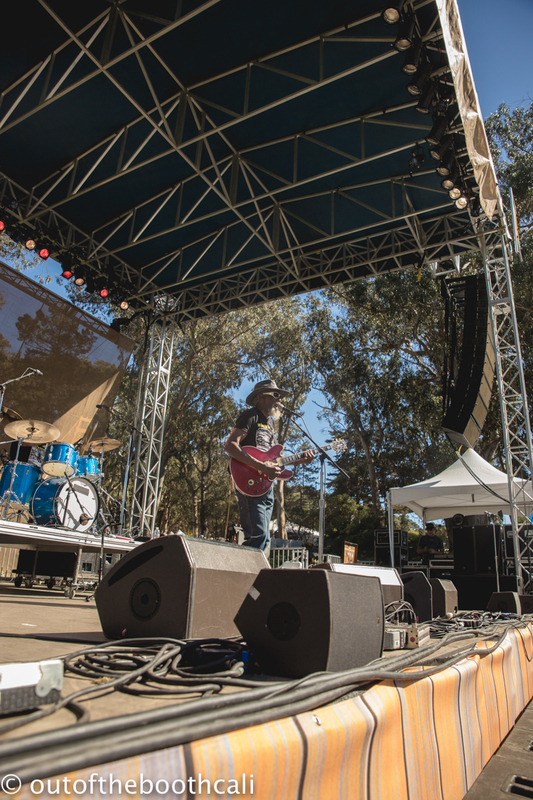 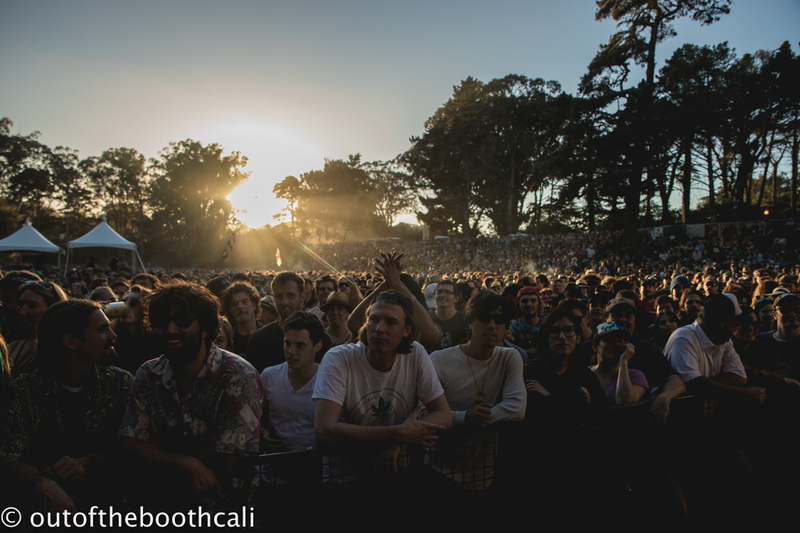 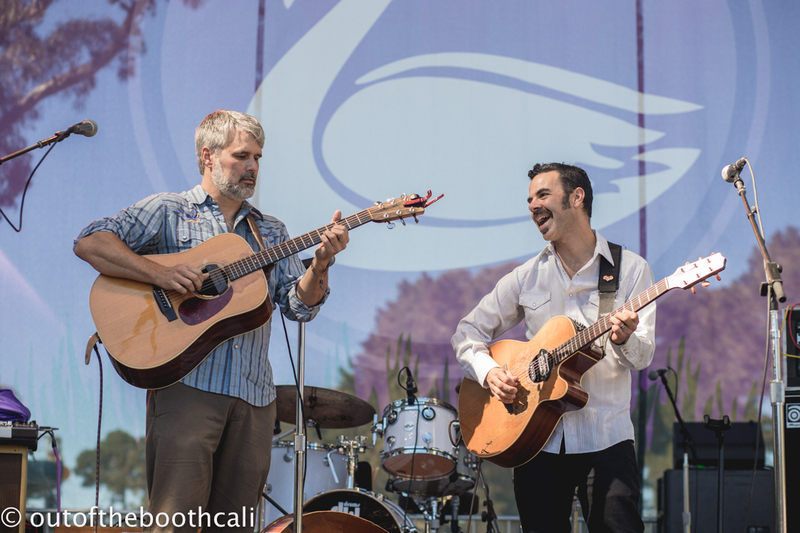 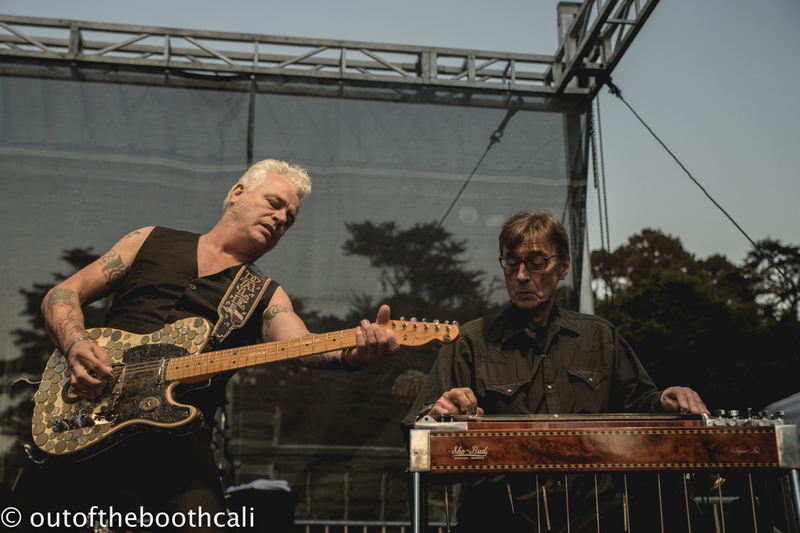 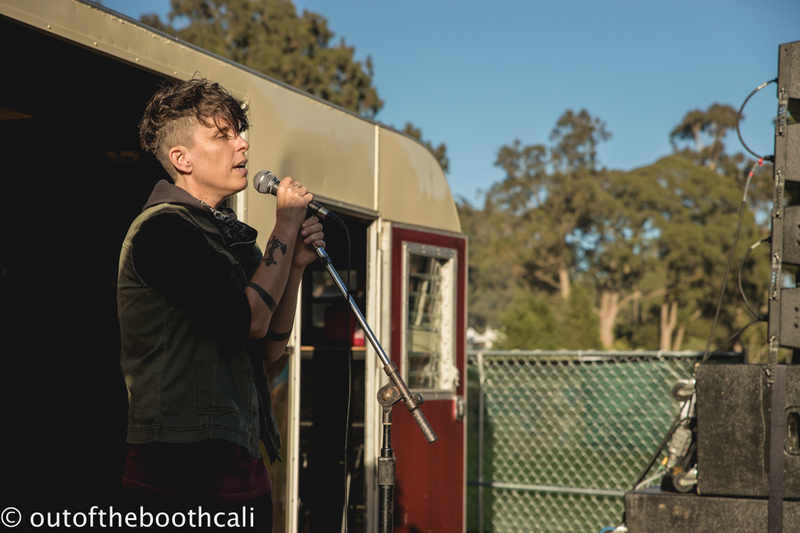 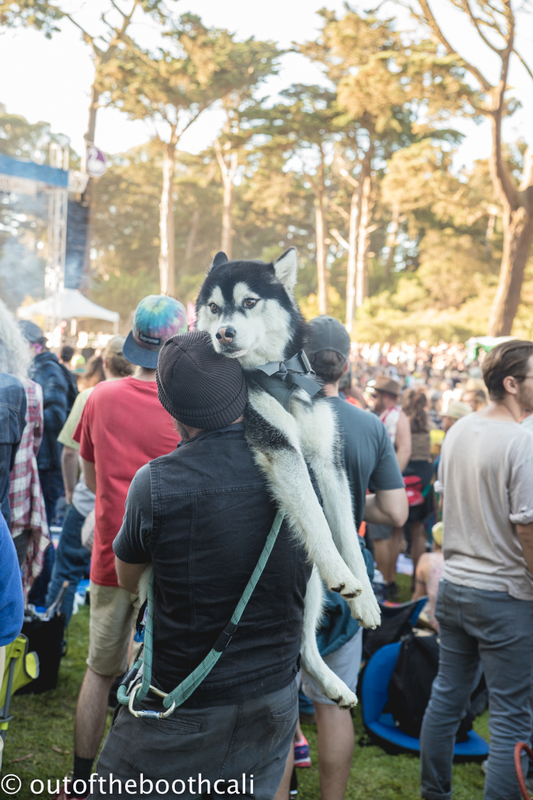 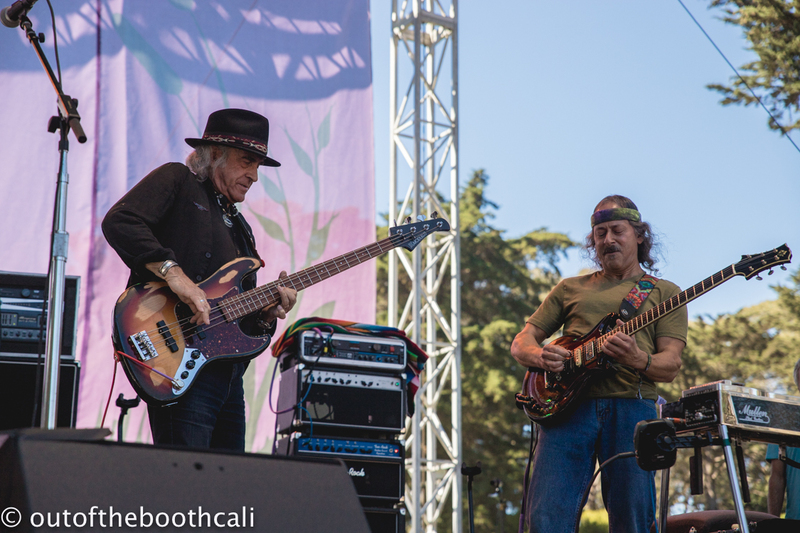 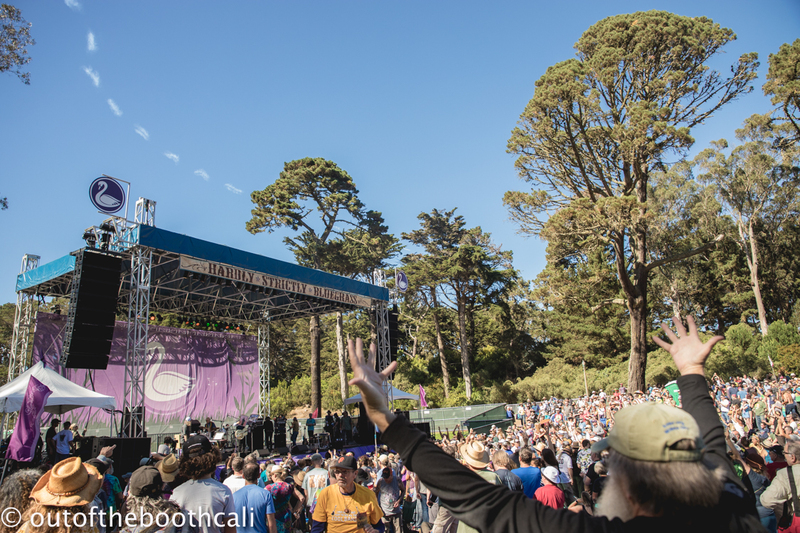 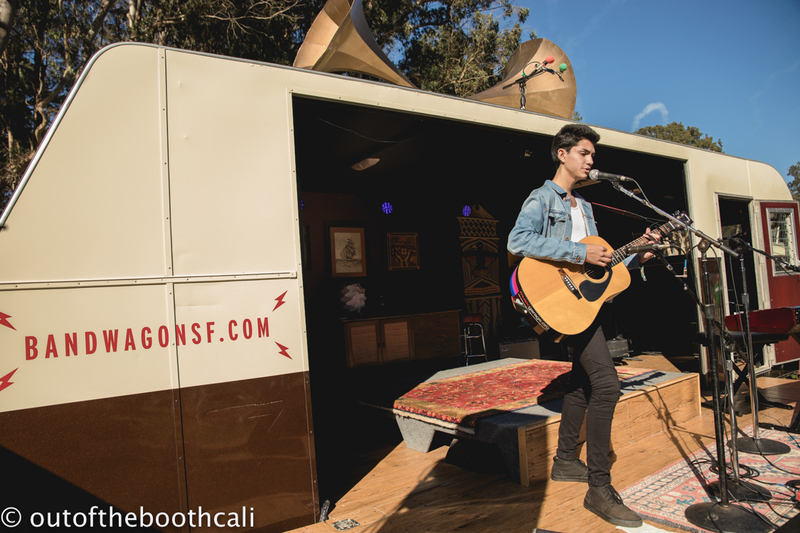 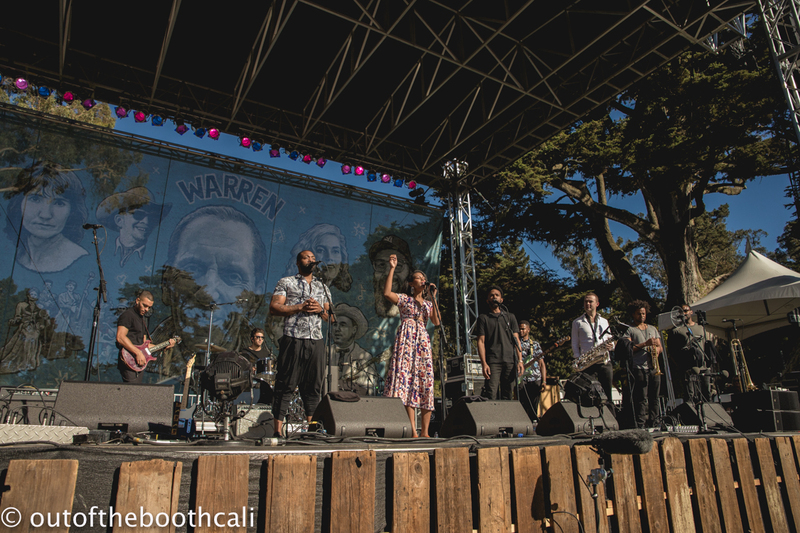 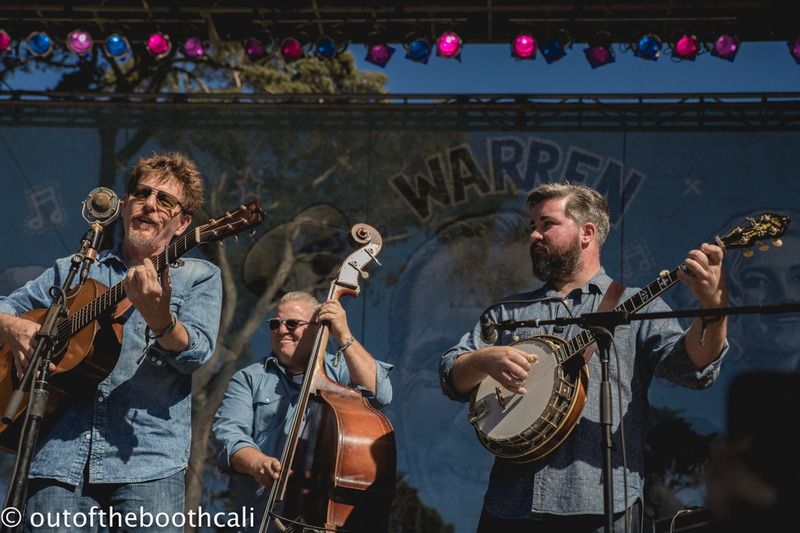 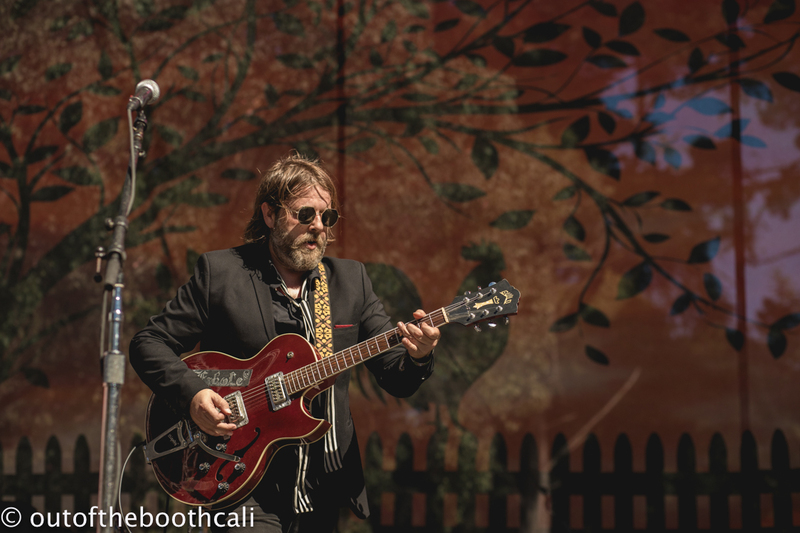 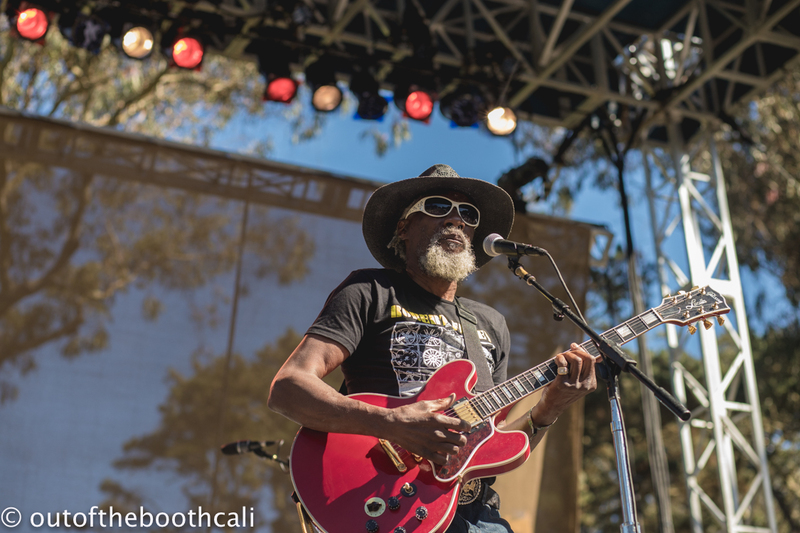 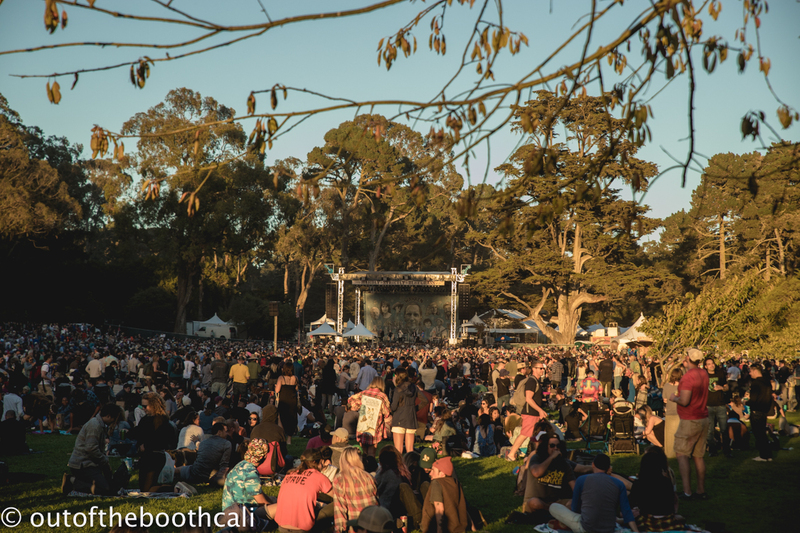 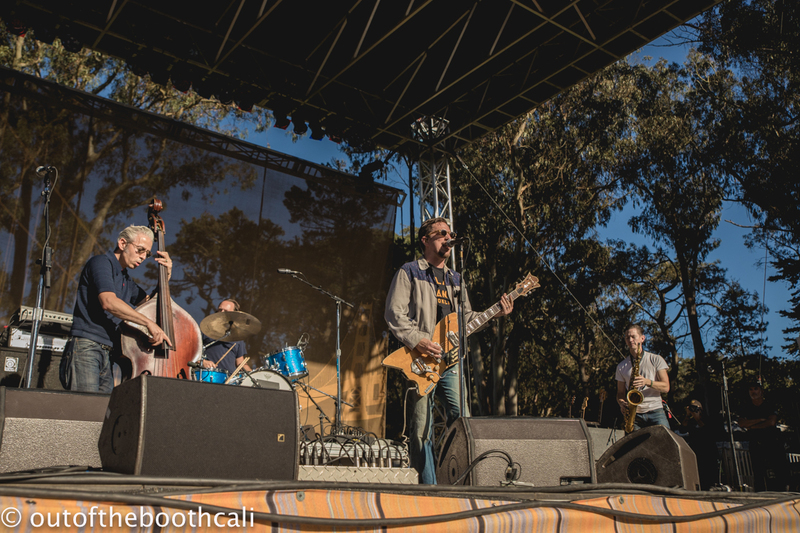 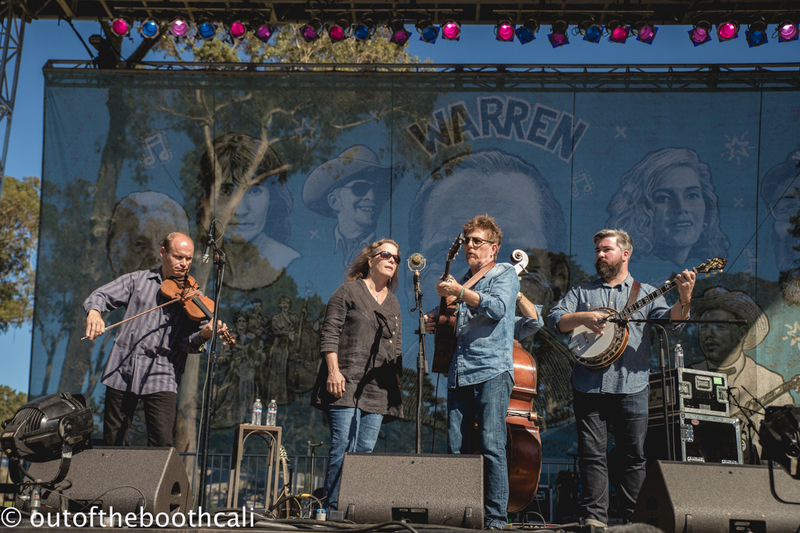 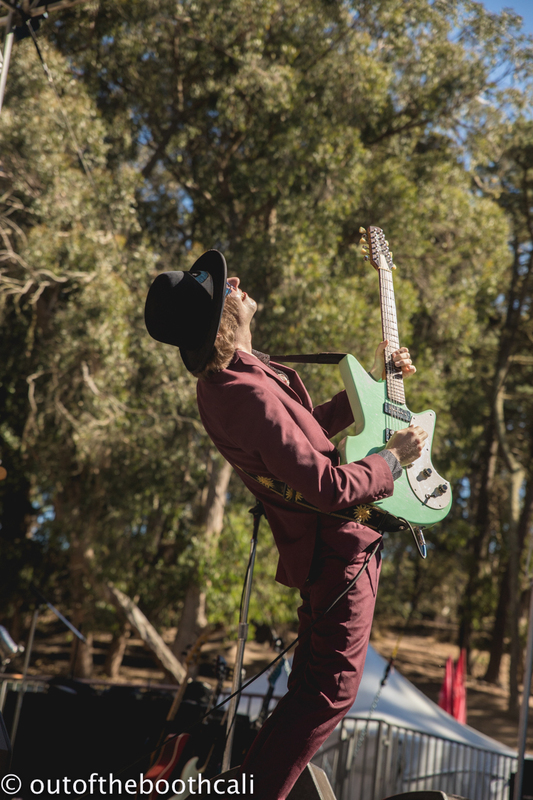 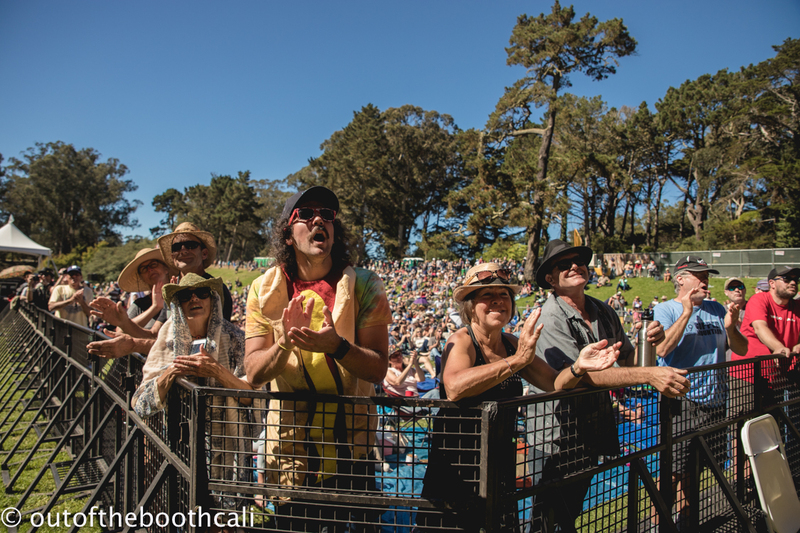 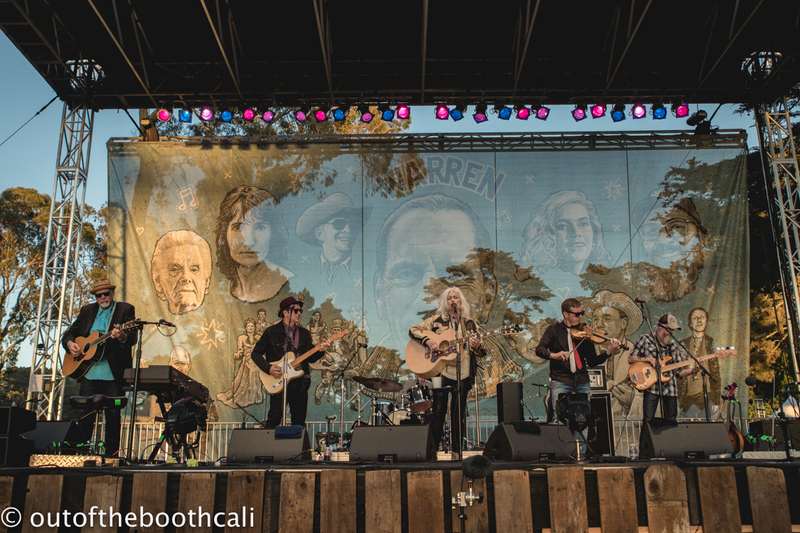 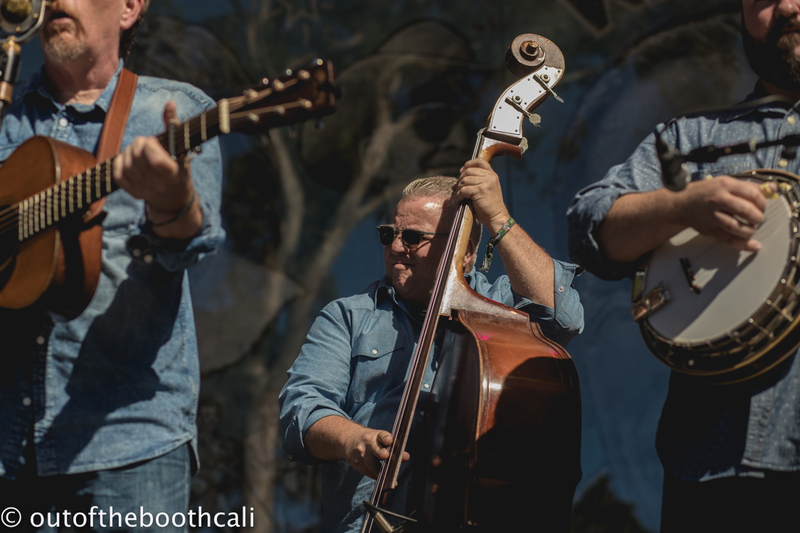 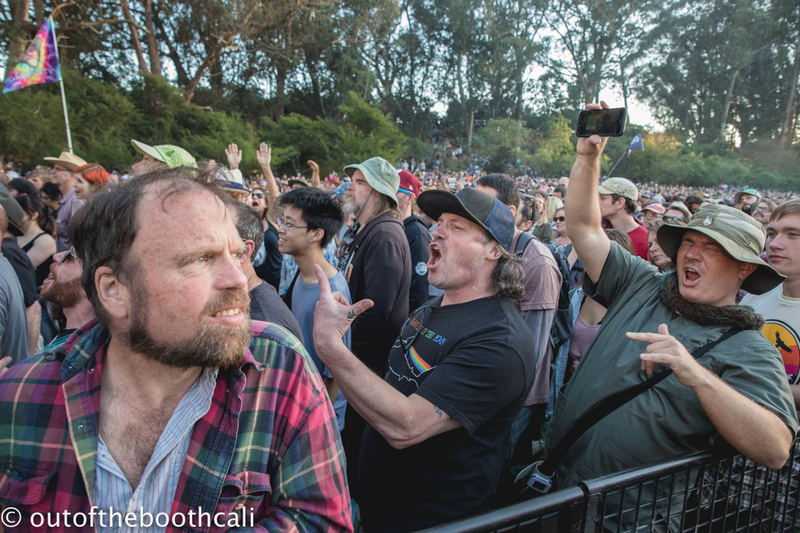 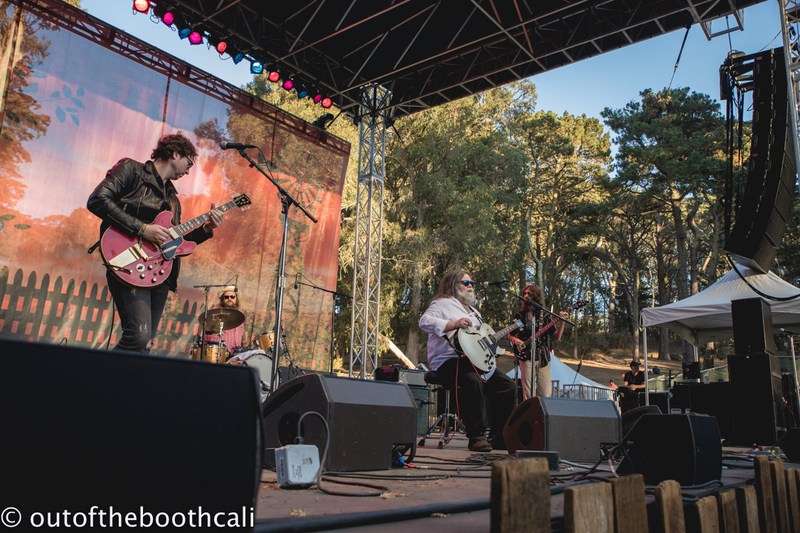 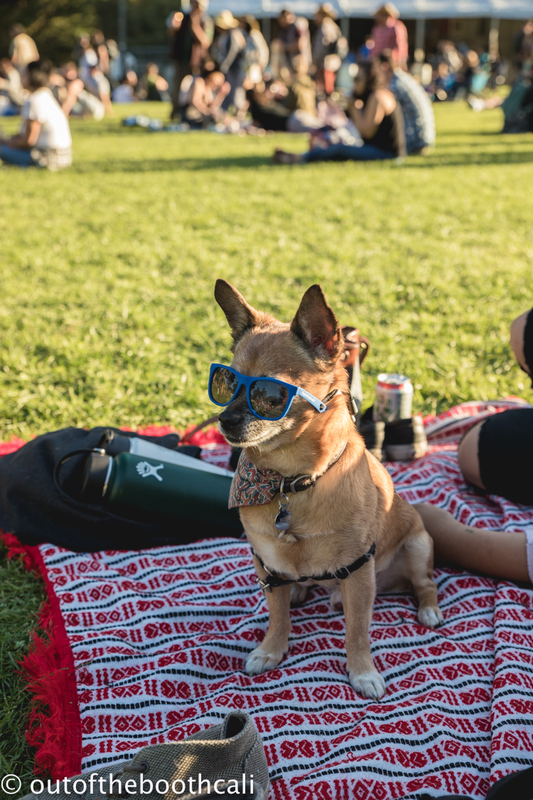 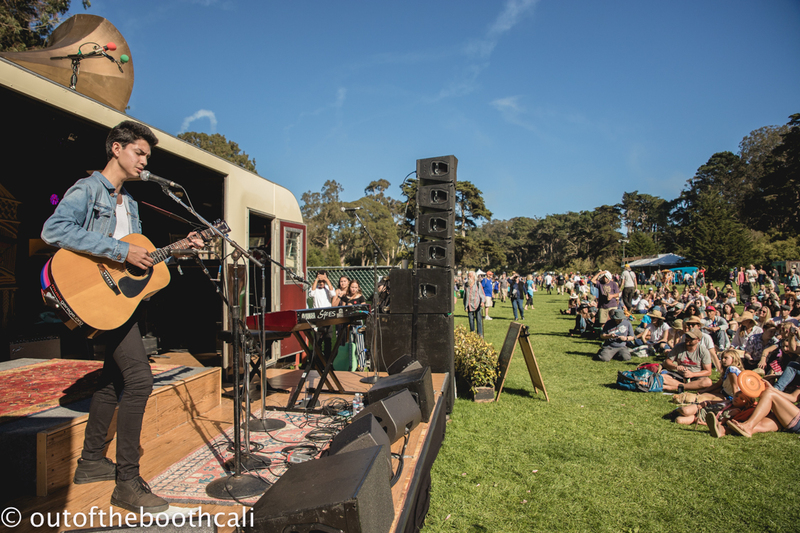 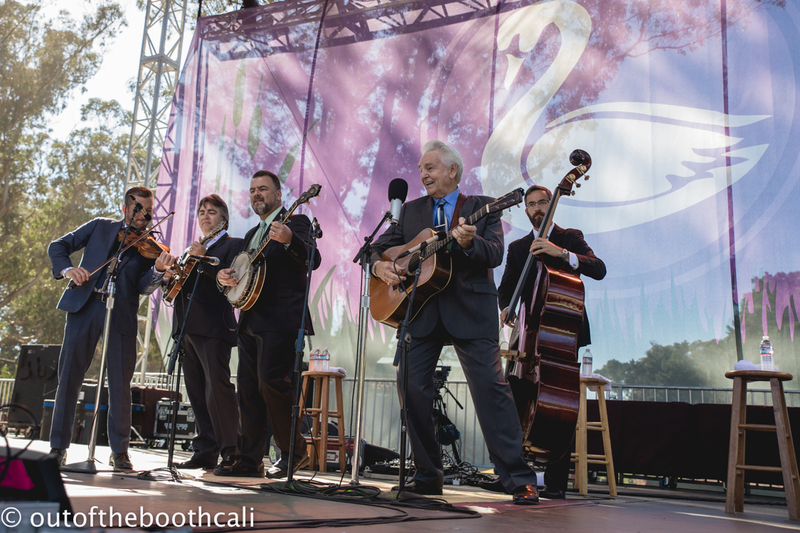 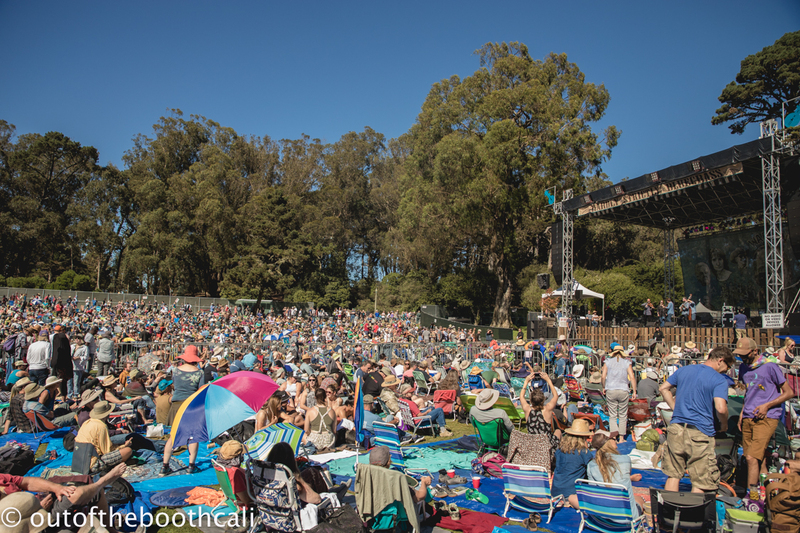 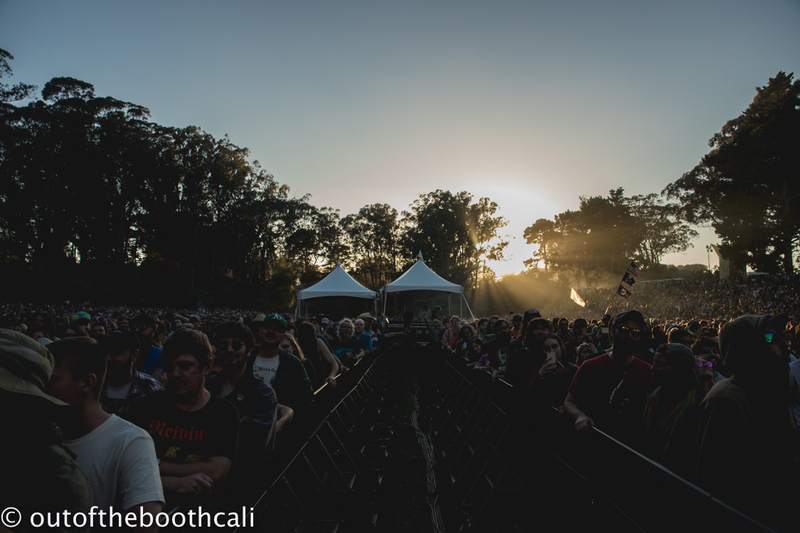 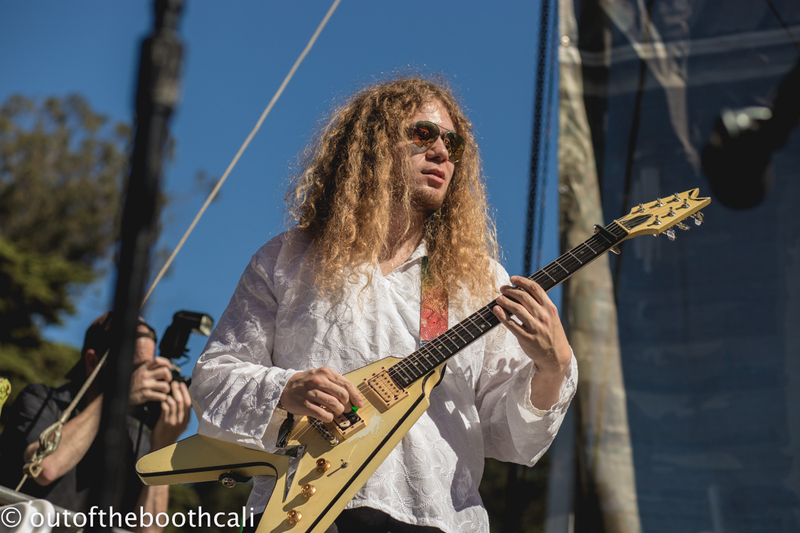 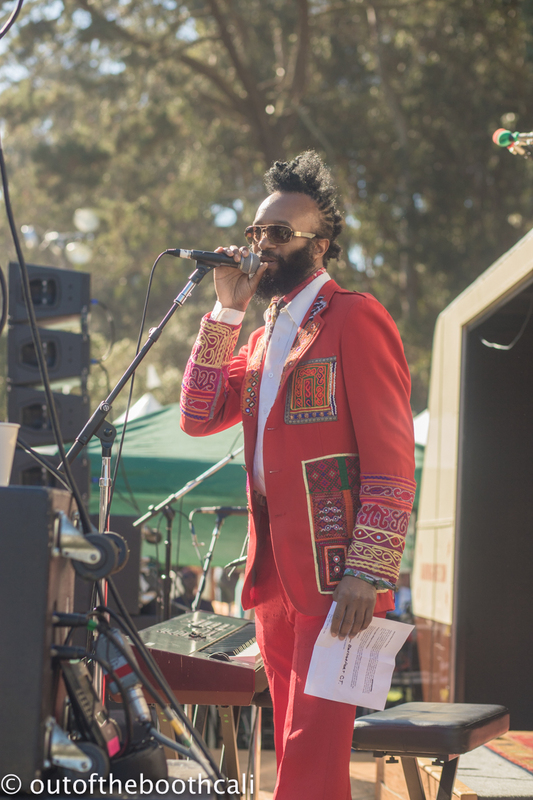 The last day of Hardly Strictly Bluegrass brought sunshine and good vibes as the Dead South kicked off the Porch stage with whiskey and rock before noon, while Vetiver opened the Rooster stage. 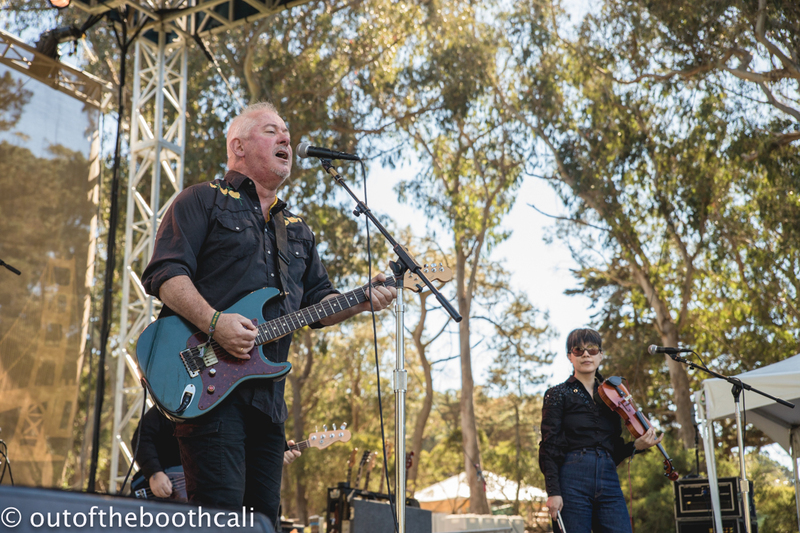 Jon Langford and the Sturdy Nelsons brought a ton of fun opening the Towers of Gold stage, while Bo & Lebo & Friends enjoyed a collaborative session-set opening the Swan stage. 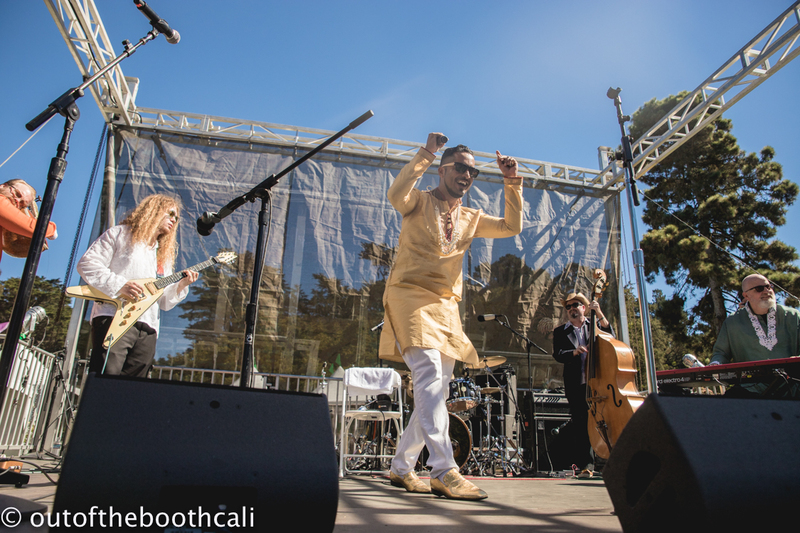 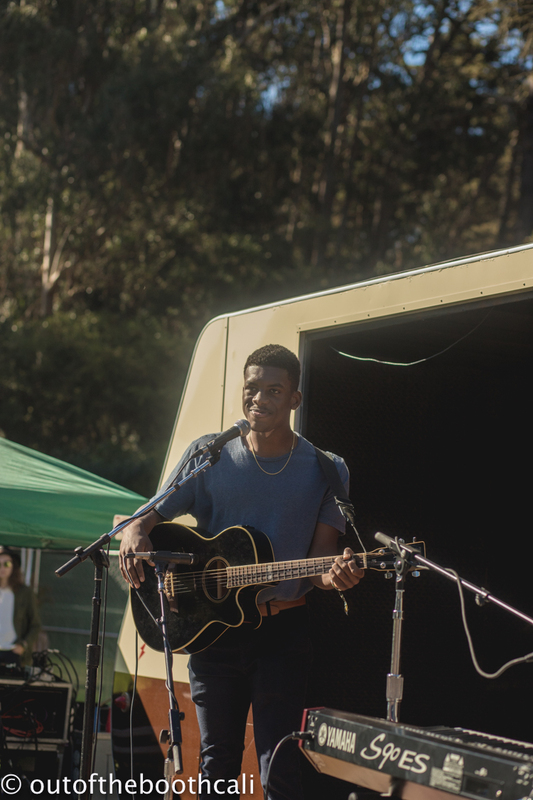 One of the best performances of the day came from Aki Kumar and his excellent spin of "Bollywood Blues," while Darlingside got harmonious on the Rooster stage. 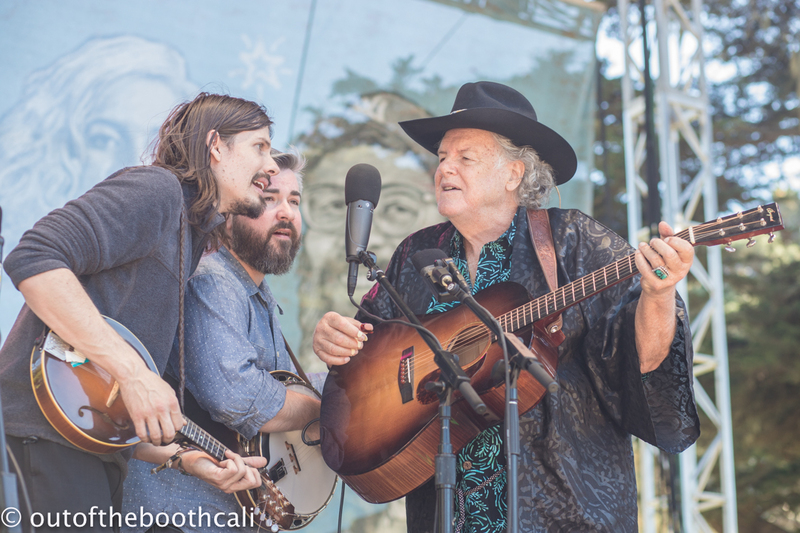 Peter Rowan brought his mountain-tune bluegrass greatness to the Banjo stage as Justin Townes Earle played to the Towers of Gold crowd. 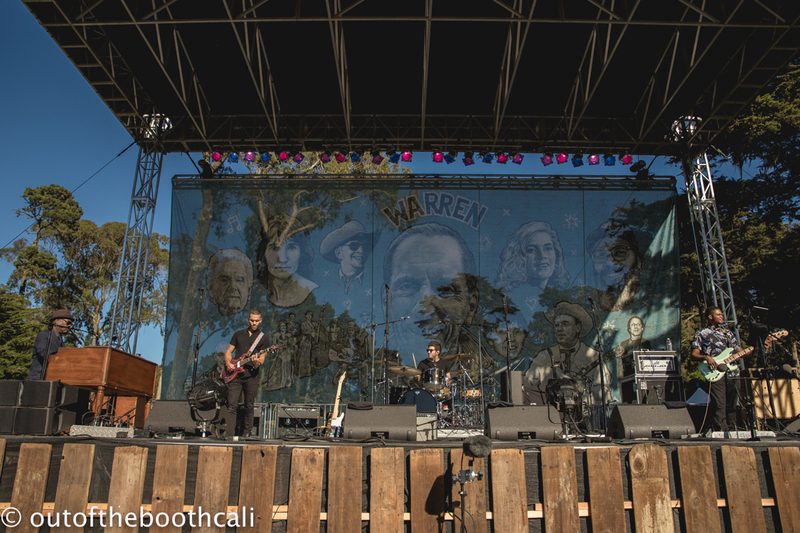 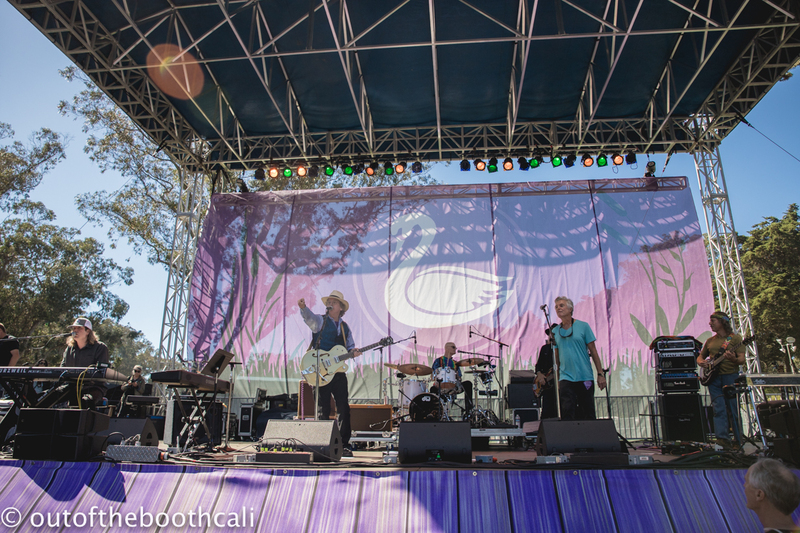 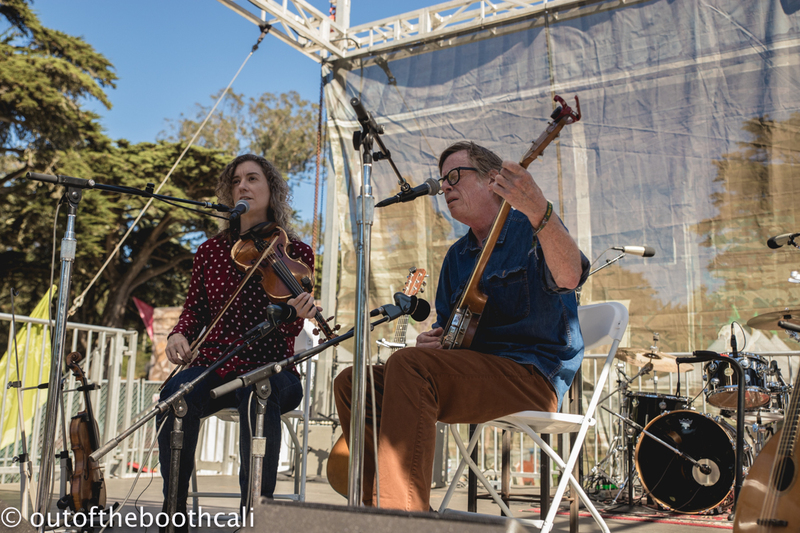 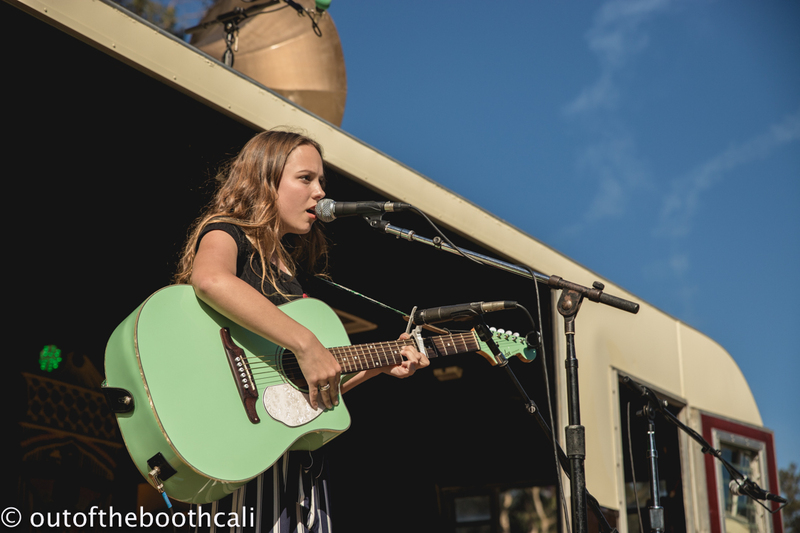 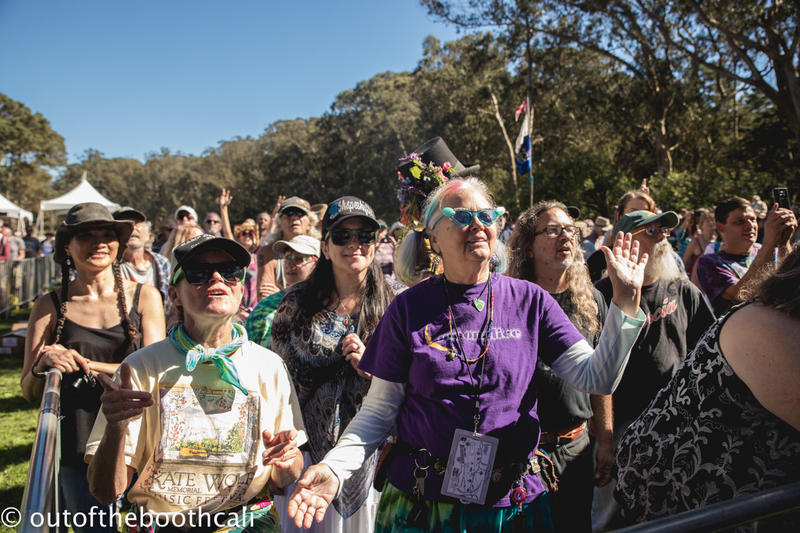 Kieran Kane & Rayna Gellert brought the beautiful to the Porch stage, while Moonalice enjoyed a jam on the Swan Stage, giving out posters at the end of their set to encourage folks to stand up, trust in women, and get out and vote. 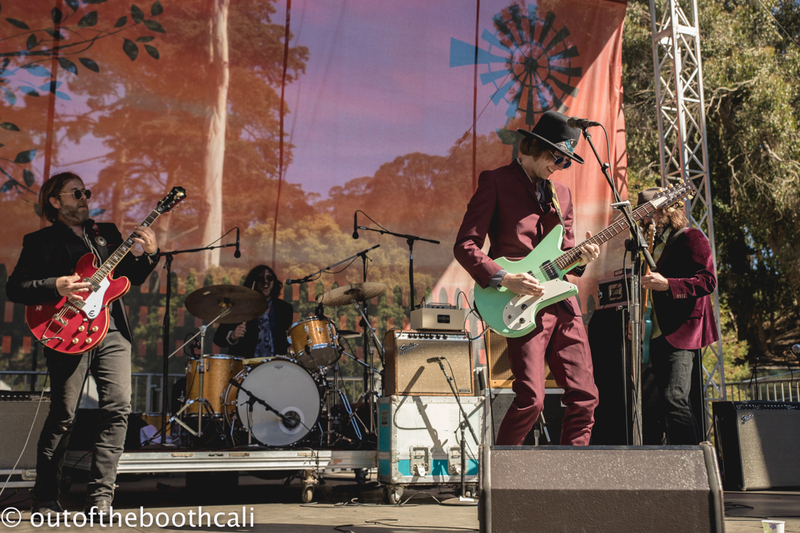 Aaron Lee Tasjan brought raw rock and roll to the Rooster stage as Nancy and the Lambchops took to the Bandwagon stage for a hoe-down. 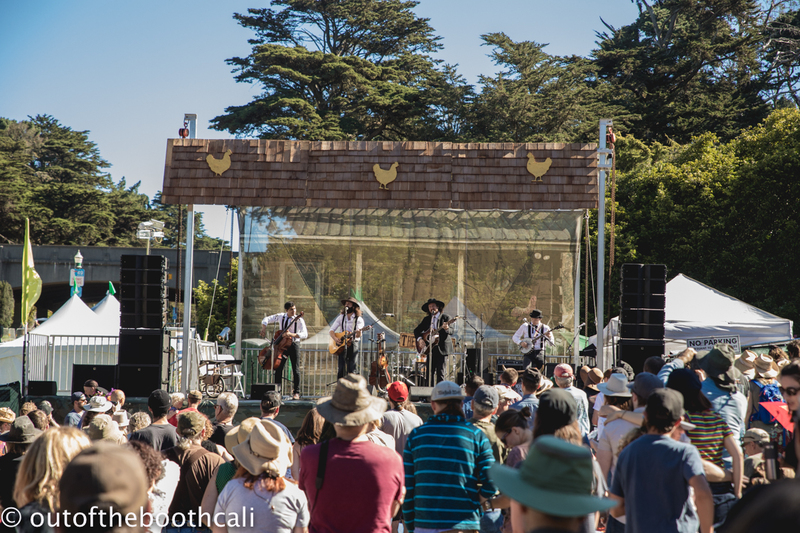 Robert Finley shook it up at Towers of Gold, while Tim O'Brien kept the bluegrass streaming on the Banjo stage. 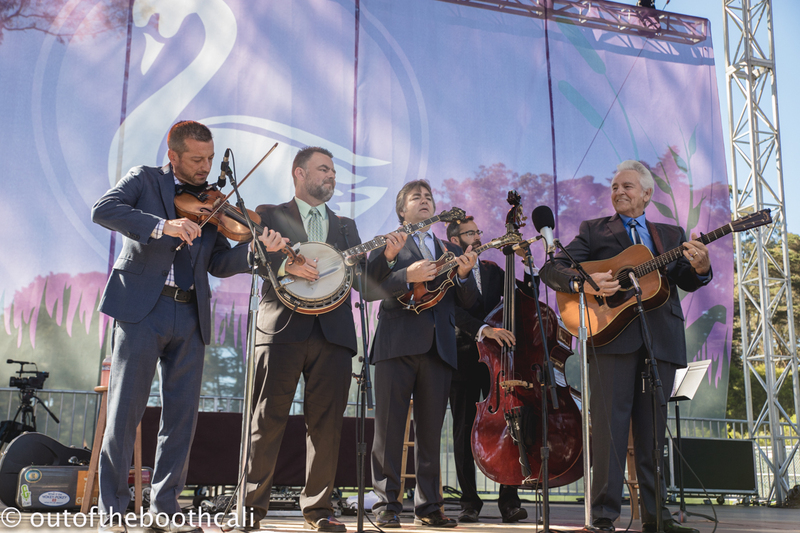 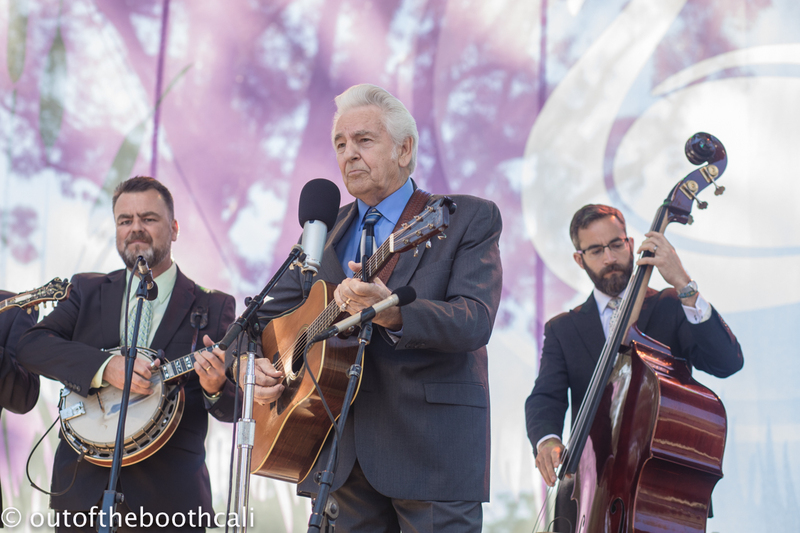 Del McCoury Band brought country-bluegrass to the Swan stage as Raise Your Voice saw school students across the country write and deliver songs addressing gun violence with hope and fight to change devastating laws. 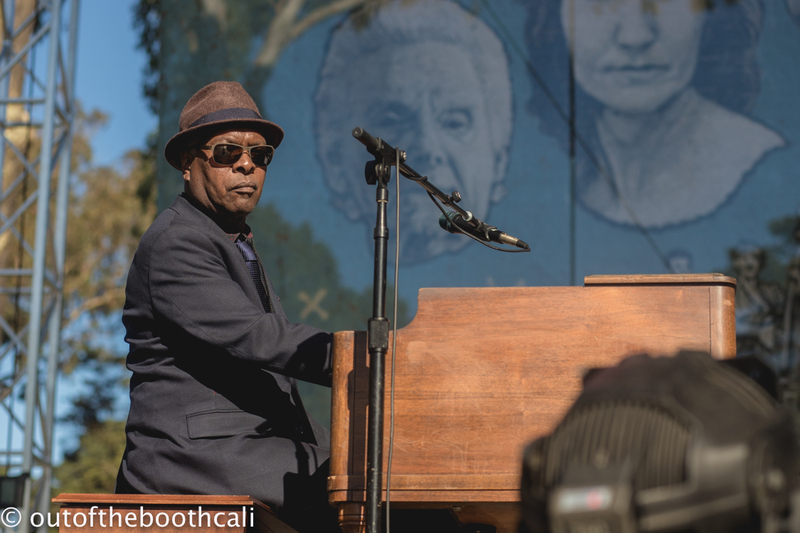 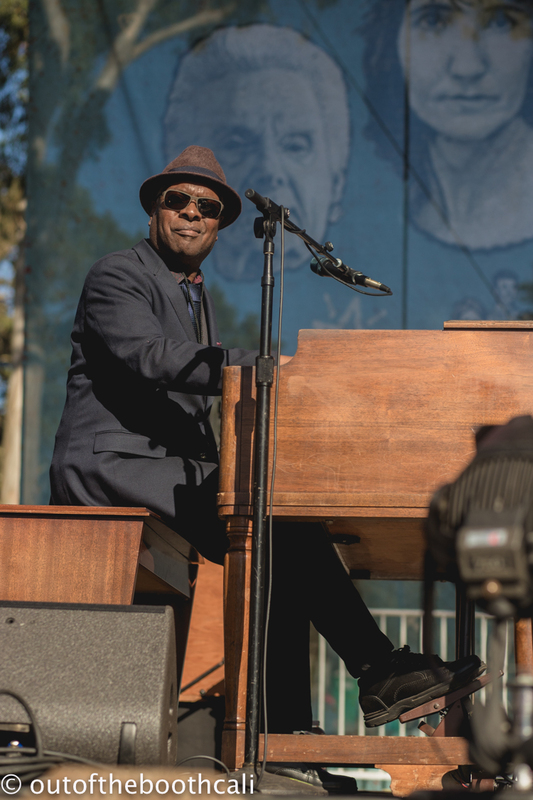 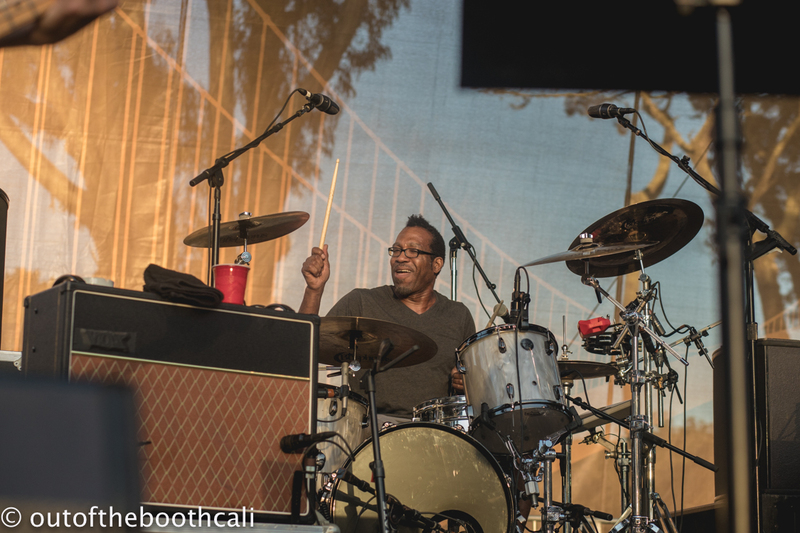 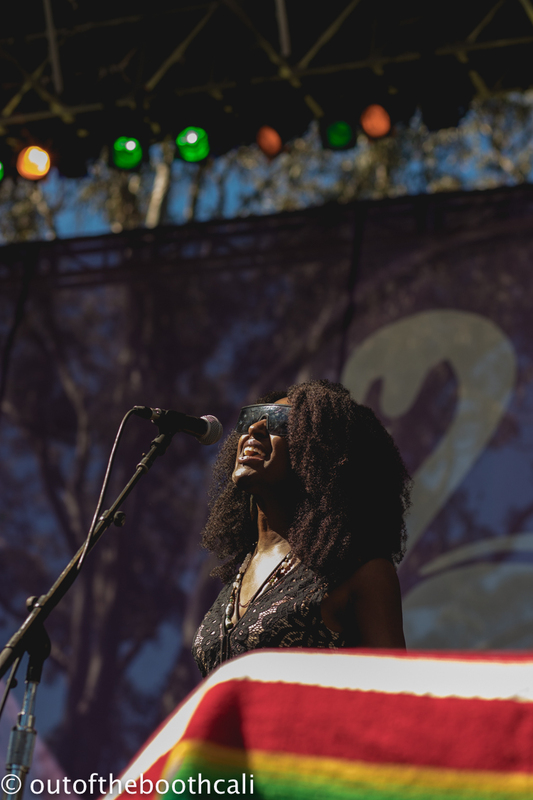 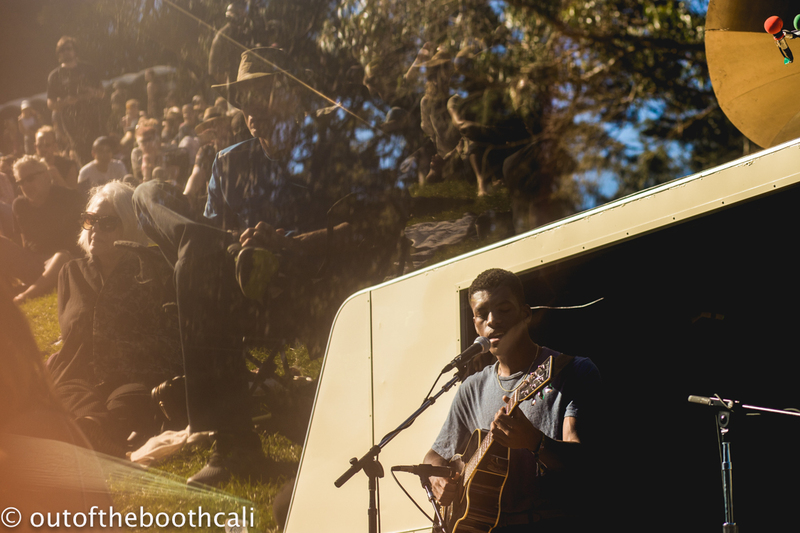 Booker T. Jones Stax Revue brought all the goodness to the afternoon festivities up on the Banjo Stage, while JD McPherson entertained the Towers of Gold crowd and the Lone Bellow got harmony-happy on the Rooster Stage. 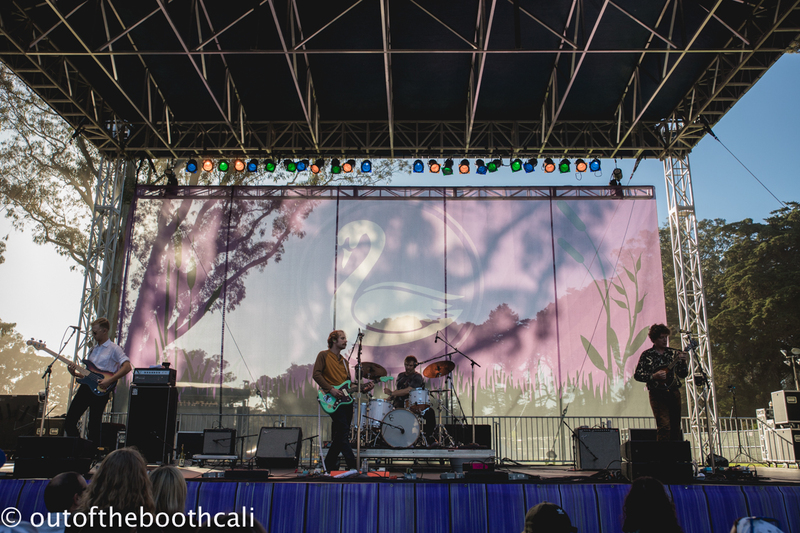 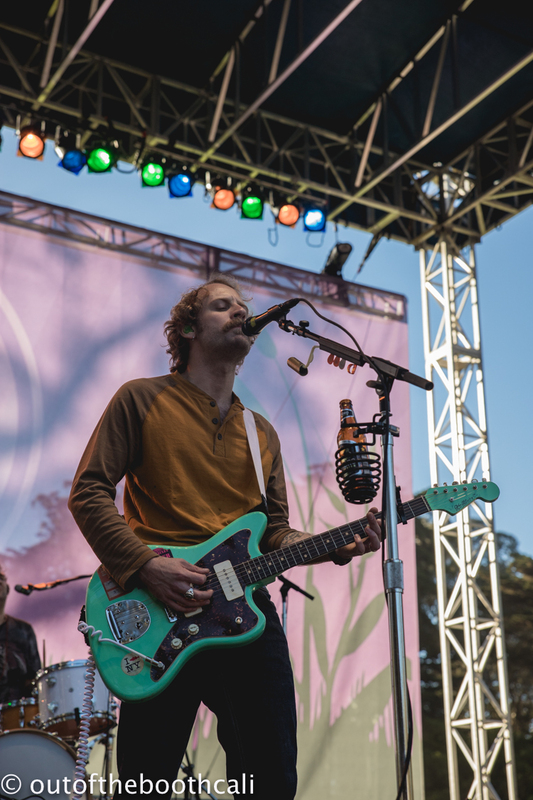 Deer Tick brought their sweet sound to Swan, closing it for the night, while Andrea Gibson gave a powerful performance addressing important societal issues, plus struggles with self, at the Bandwagon. 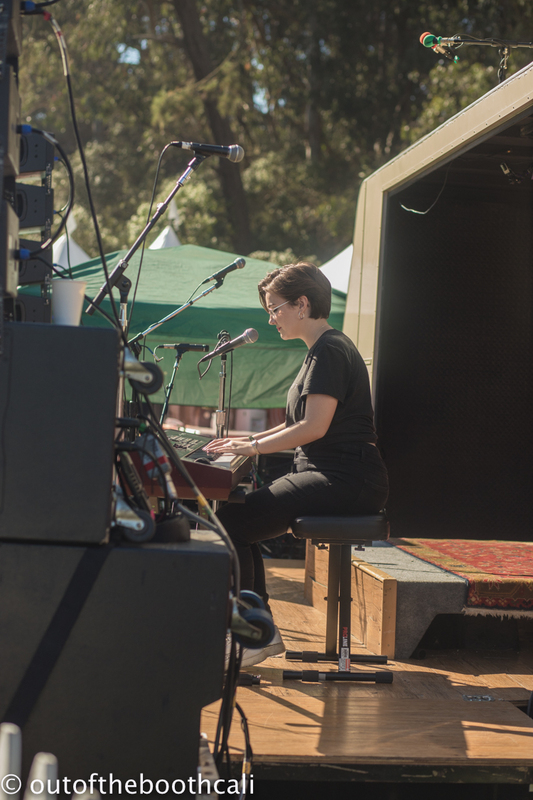 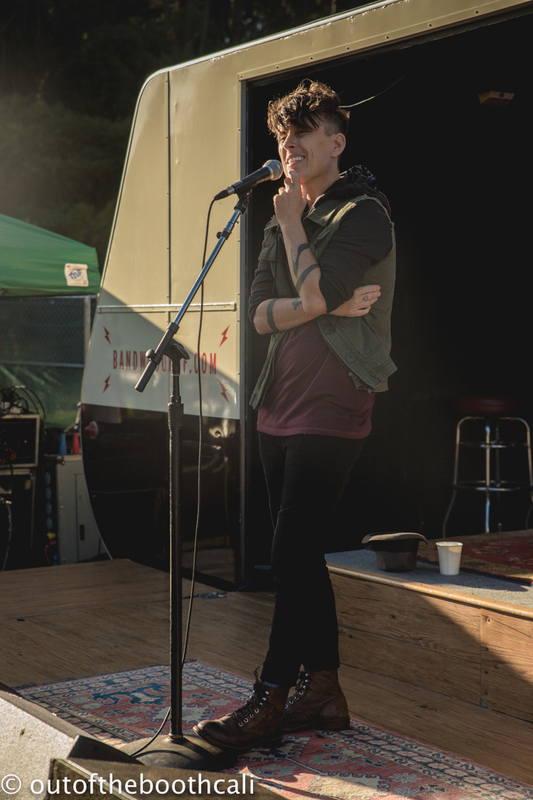 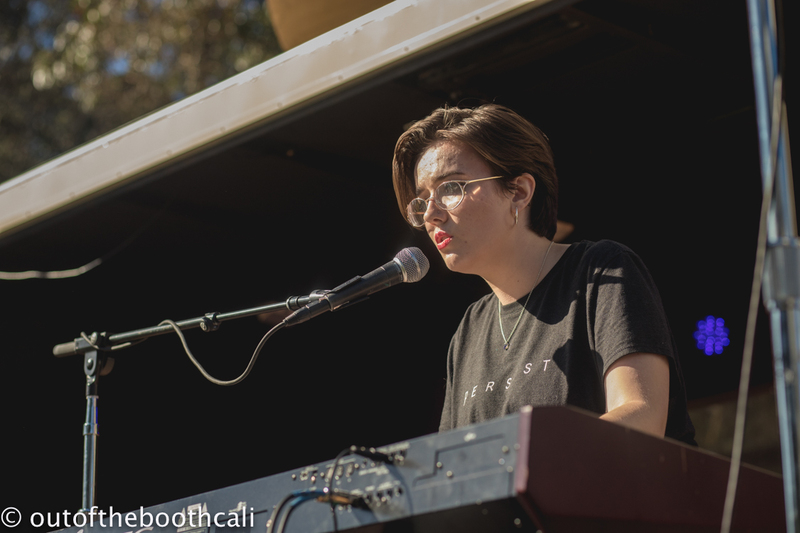 By the time her set was over, the field was flooded with tears. 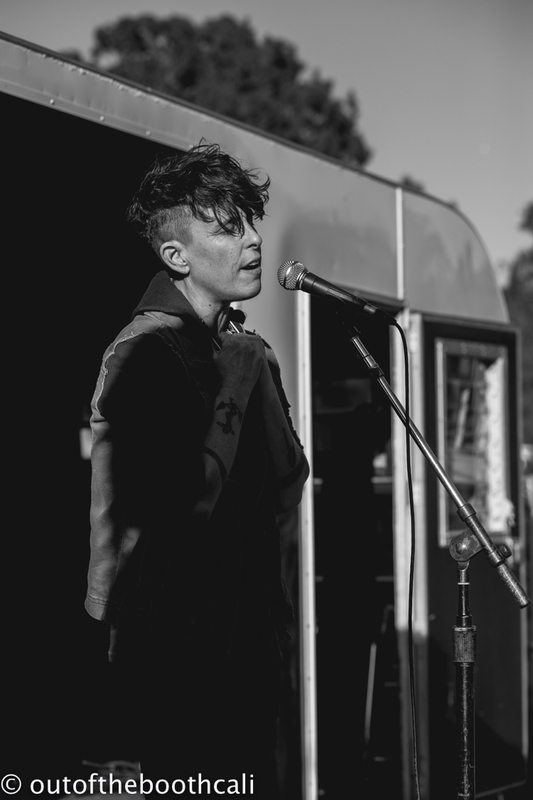 If you've yet to hear or read her poems, check out her latest book offering, Lord of the Butterflies, for a touch of tender & powerful. 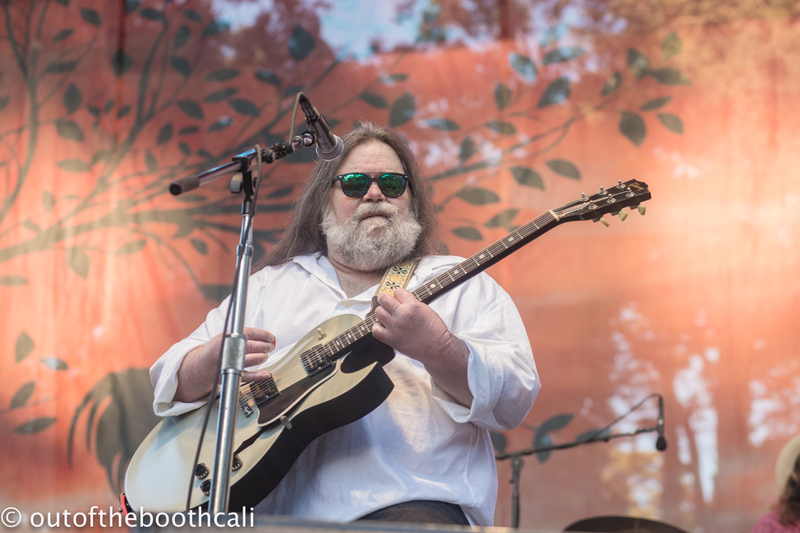 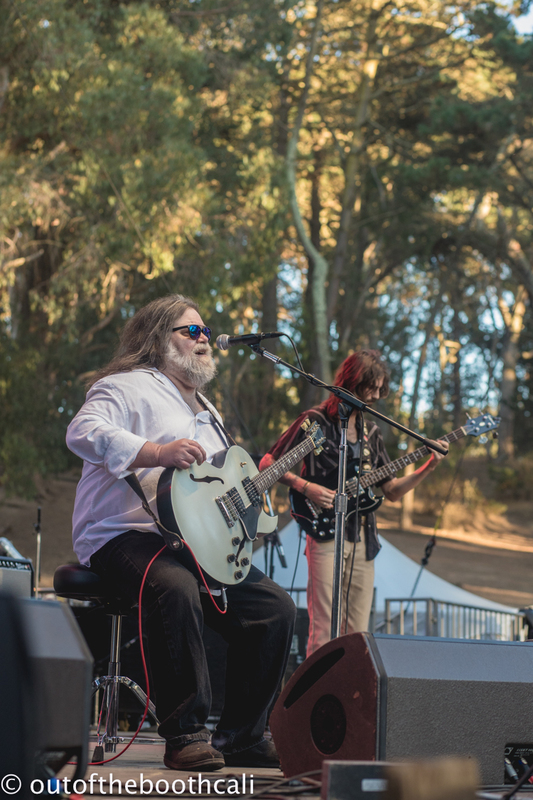 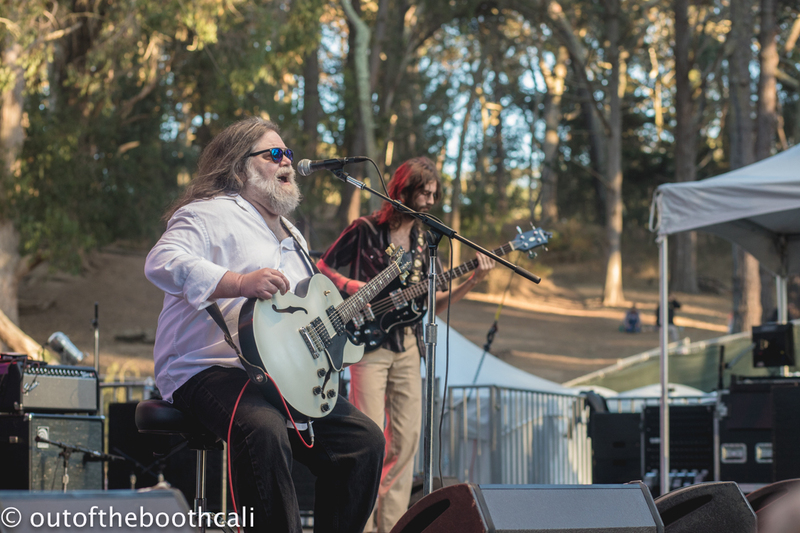 Roky Erickson closed out the Rooster stage with his excellent rock and roll creations, performing "Night of the Vampire," among others. 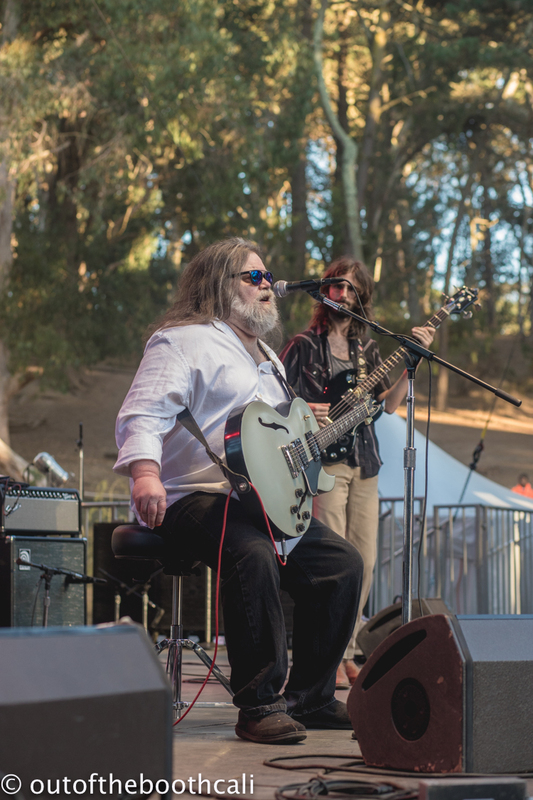 There's an interesting and devastating documentary about the remarkable Roky called You're Gonna Miss Me, which is highly recommended. 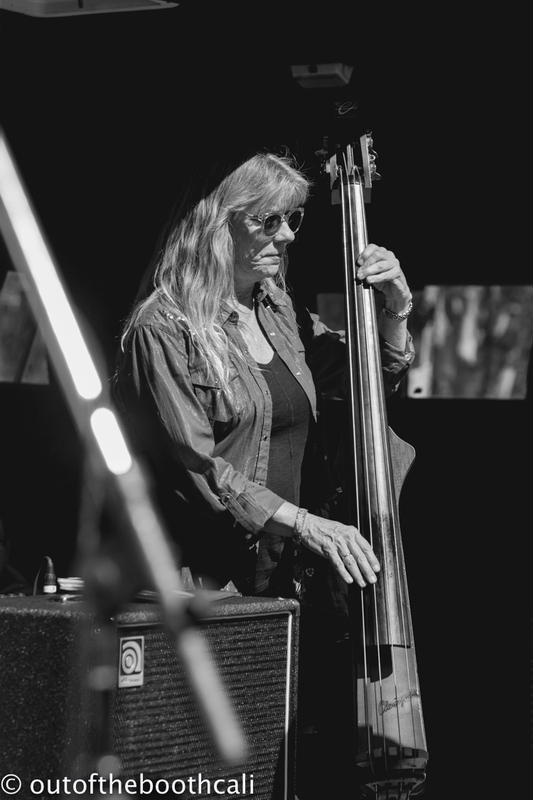 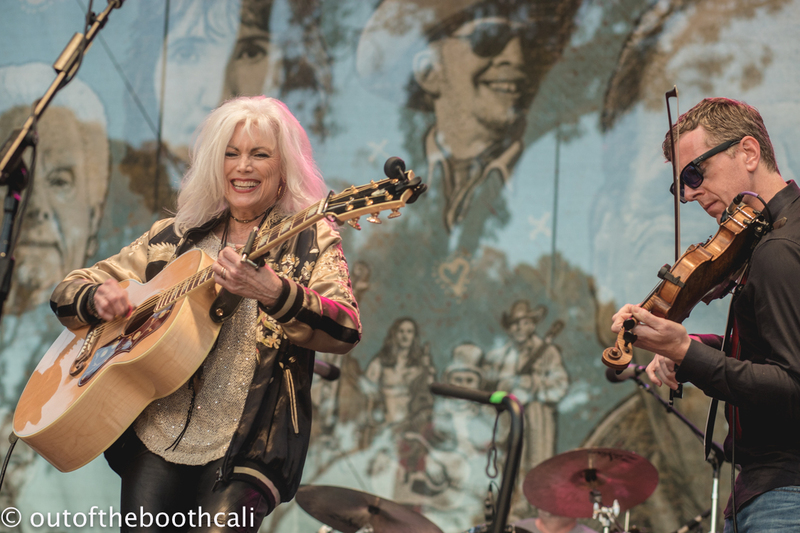 Great veteran of HSB Emmylou Harris again sent us on our way closing out the Banjo stage with her country bluegrass offerings, while Ween brought the sweat, chaos and joy, closing the Towers of Gold stage. 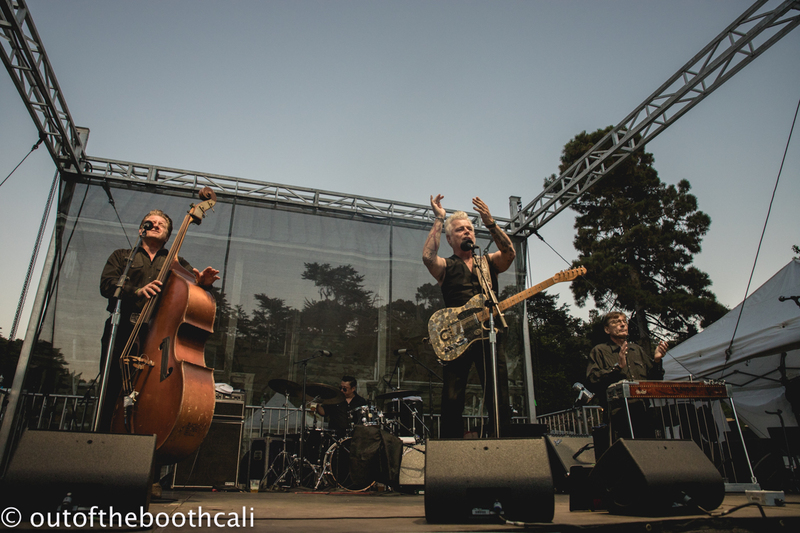 Dale Watson country rock and rolled the Porch stage adding flair and fun to the last set of the night upon the Porch stage. 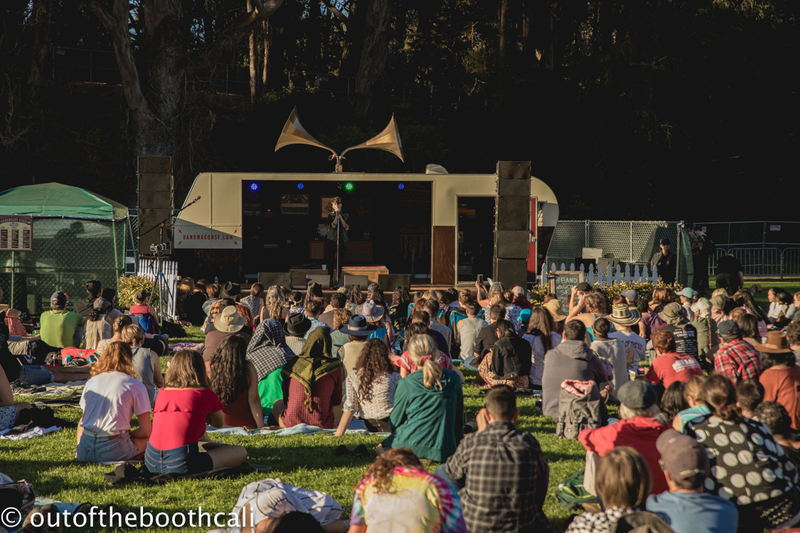 All in all, it was another great HSB where artists united to remind us all that we're in it and we'll win it with our hearts open and honest. 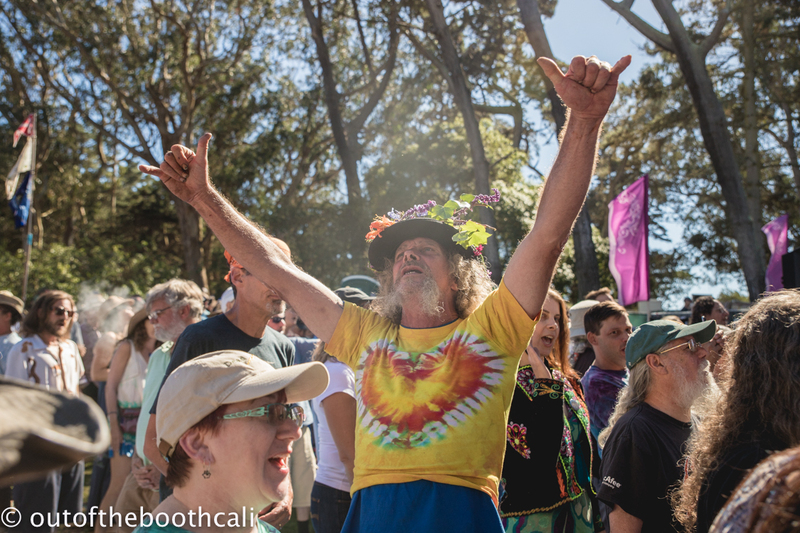 No matter what the B.S. 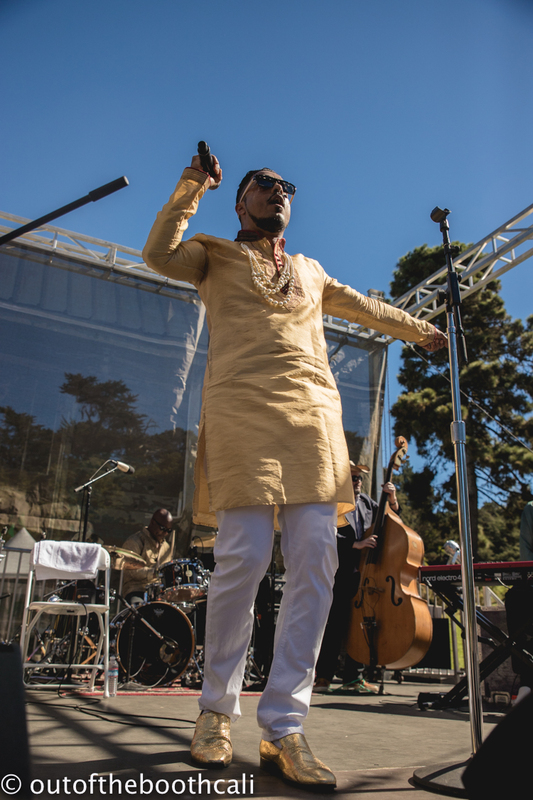 man stands for and brings forth, truth will prevail and the peaceful warriors will adhere.